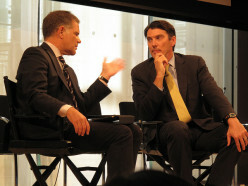 As a proud Rutgers University graduate and long time avid writer for Yahoo! 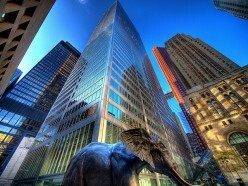 and Textbroker USA, I hope to provide an honest yet invigorating account on scores of topics. 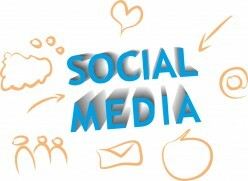 Investigating technology and social media trends have been a passion of mine for the past 10-15 years. I'm highly invested in the YouTube community and strive to countlessly identify online activities that link to our daily lives. 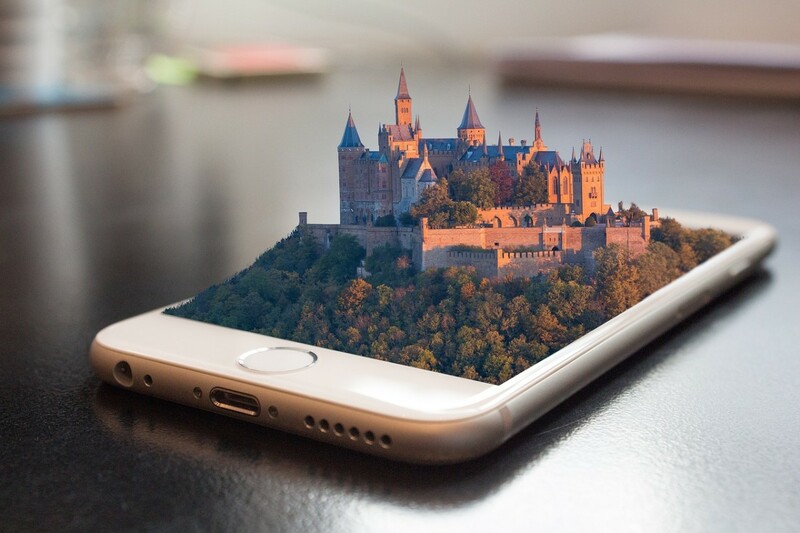 I love exploring current or emerging technology trends that I discover to share with newcomers and newbies of anything tech related, but I also enjoy glancing at the natural world around us. That being said I've been a weather and climate fanatic for nearly 20 years, and I am extremely overjoyed about exploring global trends as well as extreme weather. On a personal note, I've struggled with yet overcame gambling addiction and hope to help others persevere and "beat the odds" (insert eye roll here). My other addiction is writing, which is the most pretentious thing any writer could say, but hey we're all egomaniacs right. 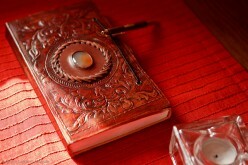 Ultimately the goal is to inform my readers and add a few intriguing statements or facts they never knew before. And yes that goes for any reader who may have accidently stumbled across or clicked one of my articles (sorry). Regardless of how you arrived at my "hubs", I appreciate any time you've spent glancing over them. After all it's the readers who give writers purpose no matter what! 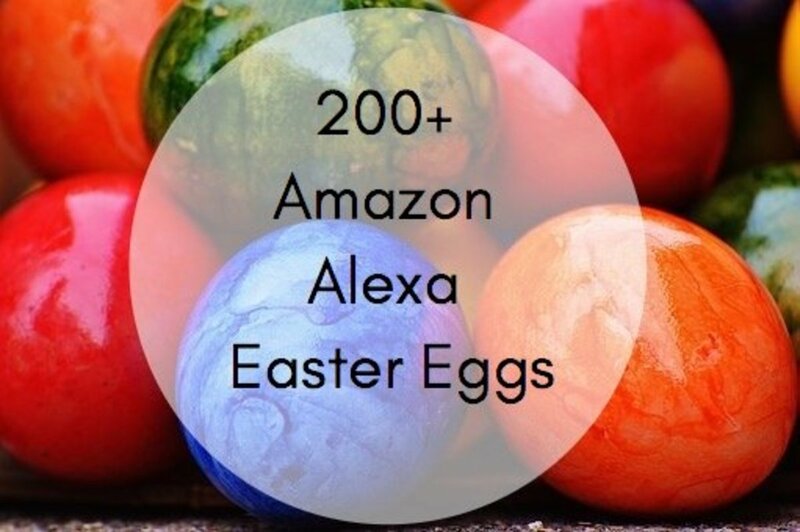 A list of 200 funny Amazon Alexa easter eggs, ranging from Star Wars and Star Trek to Game of Thrones. Discover funny questions to ask your Echo device! 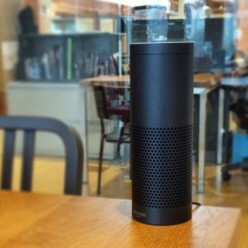 Unlock 25 amazing Alexa skills for your Amazon Echo. Top skills include Jeopardy, Fitbit, Capitol One banking, 1-800-Flowers, Domino's Pizza, Uber, and SmartThings for smart home control. 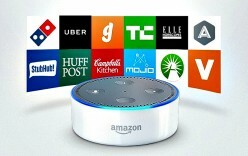 Amazon Echo's new features include voice calling, multi-room audio, Nest thermostats, Spotify, skills from Fitbit, Uber, Lyft, Domino's Pizza, and 11 new Alexa devices like 3rd Gen Echo Dot. Top 10 amazing Alexa skills to help you sleep better. How to turn your Amazon Echo into a top quality sound machine and white noise maker. 25 fun Amazon Alexa skills for your kids to try with your Amazon Echo or Echo Dot. They can play games, learn facts, and become math wizards all by using their voice. List includes 25 bonus child friendly skills. 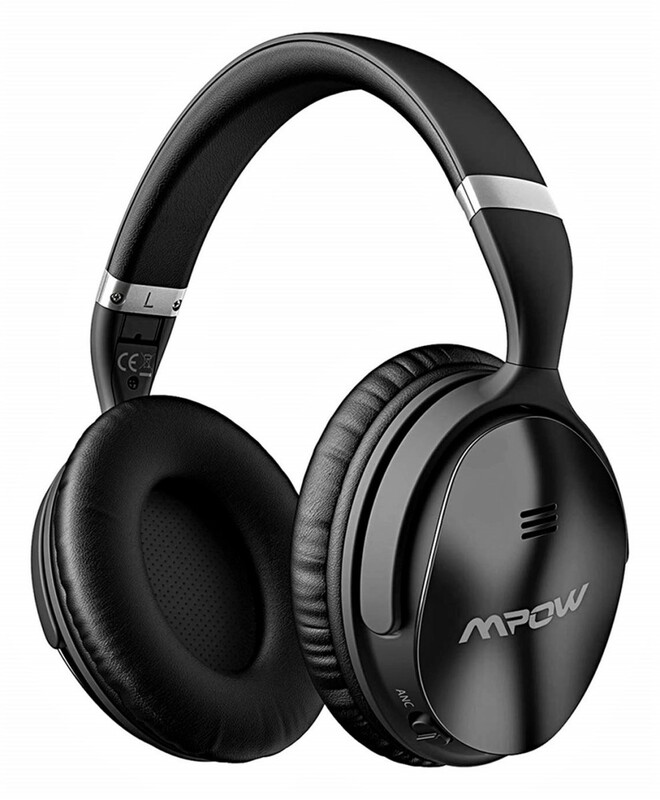 The Mpow H5 Wireless Bluetooth Headphones provide active noise cancellation (ANC), deep bass, 30+ hrs of playtime, and a built-in mic for PCs, smartphones, and TVs. Good for travel, school, and work. 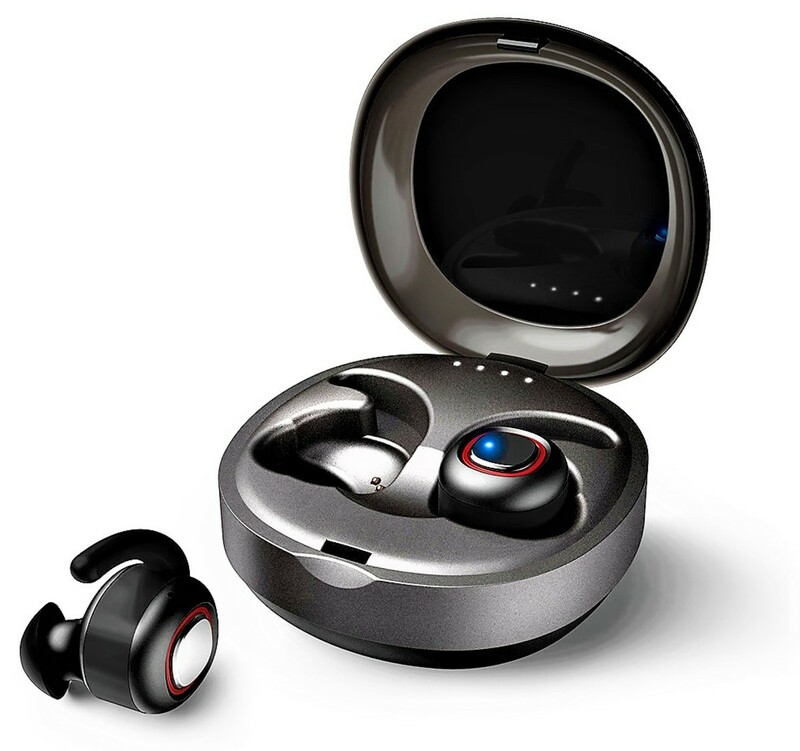 Dodocool Wireless Earbuds are a set of stereo headphones that come in a portable charging case. Earbuds can be paired with Apple or Android phones and they support Siri & Google Assistant voice control. 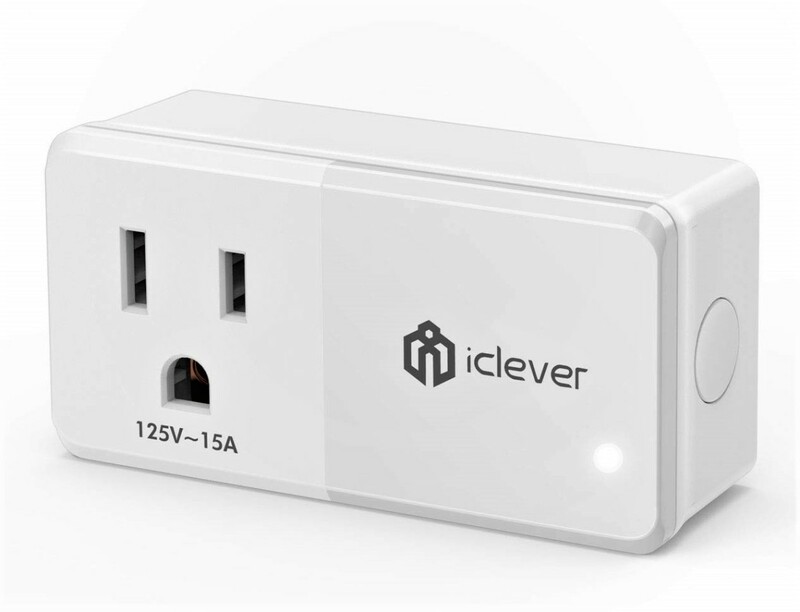 The iClever USB-C Wall Charger is an 18W foldable plug that uses power delivery to quickly charge the latest iPad Pro, Samsung Galaxy, and other USB-C devices. Works with iPhones if using USB-C to lighting conversion cable. 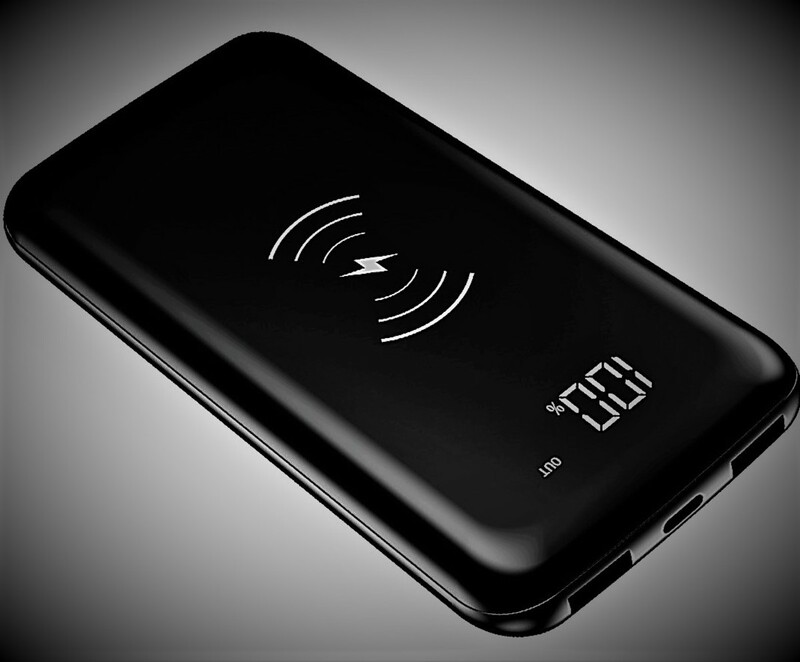 The Dodocool 10000mAh Wireless Power Bank can charge your iPhone or Android device up to 3x through its dual USB ports or via wireless charging. Fast, elegant & can charge 3 devices simultaneously. 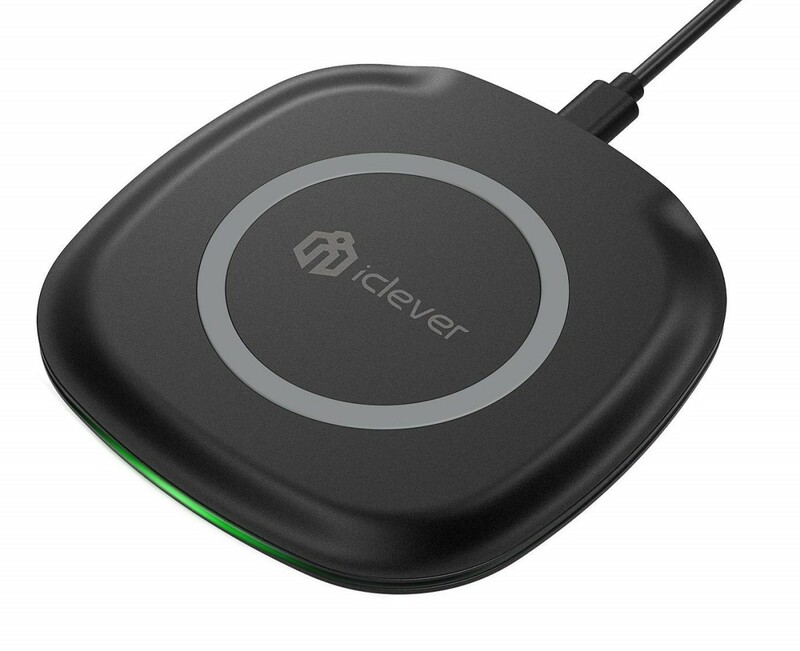 The iClever wireless charger is made for the iPhone XS/XR/XS Max/X and other Qi-enabled phones like the Samsung Galaxy S8/9/10 & S8/S9/S10+. It has super fast charging, it's compact, and it's the best travel accessory. 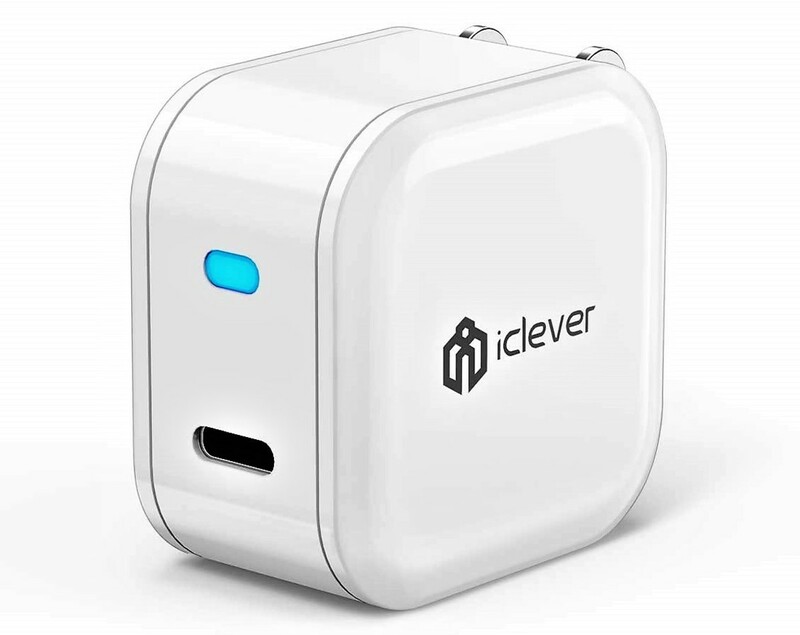 The iClever smart plug contains 1 AC outlet and 2 USB ports for optimum, intelligent charging. It's so strong that it can replace your power strip. 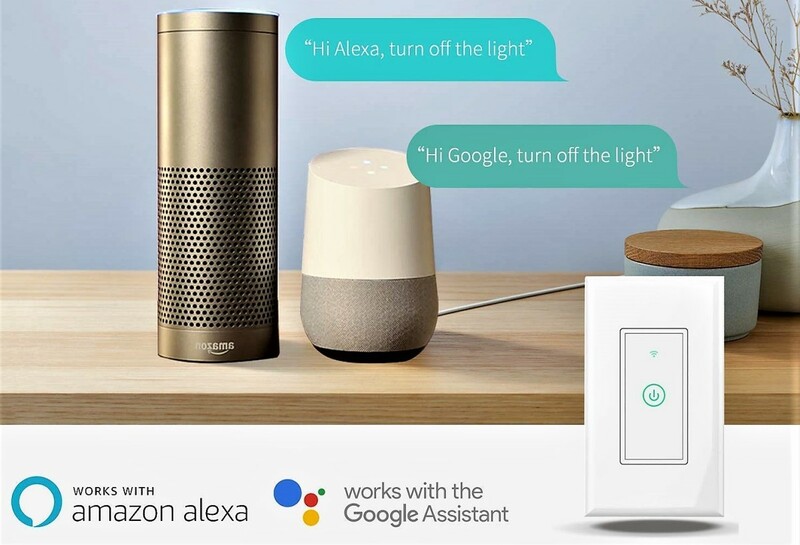 Works with Amazon Alexa, Google Assistant, and IFTTT. 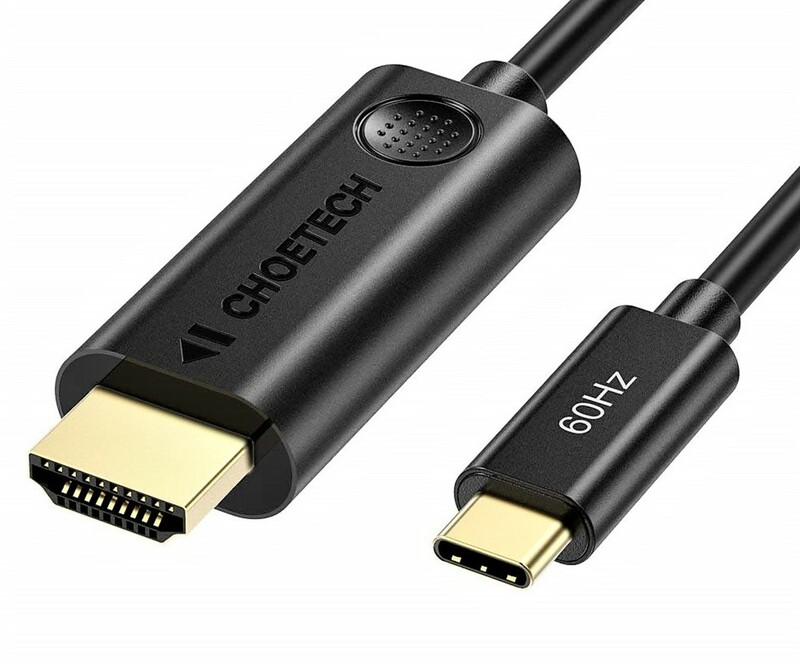 The Choetech USB-C to HDMI cable is compatible with the latest MacBook Pro and Samsung Galaxy phones. It works with 4K resolutions with 720P backwards compatibility. Supports Thunderbolt 3 connector. Updated version has 60W PD adapter to charge devices while streaming or browsing. 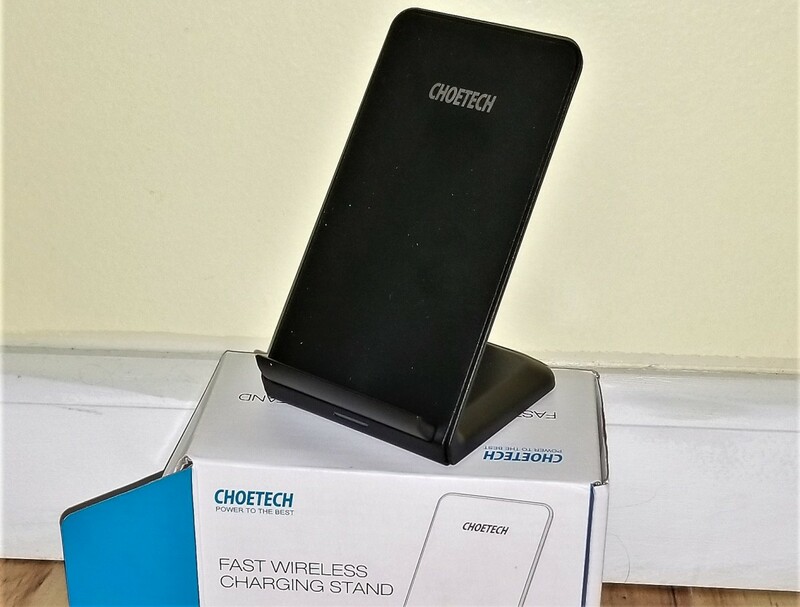 The Choetech Wireless Car Charger delivers fast charging speeds to all Qi enabled devices including the newest Apple & Android phones. Features secure air vent grip and easy to control one hand operation. 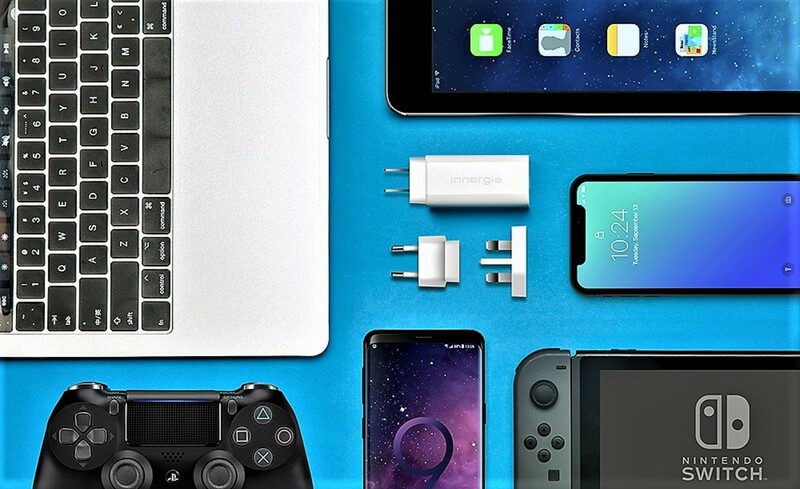 The Innergie 60C is an all-in-one USB-C adapter that can rapidly charge your MacBook, iPhone, Android smartphone, and more with 60W of efficient power delivery. 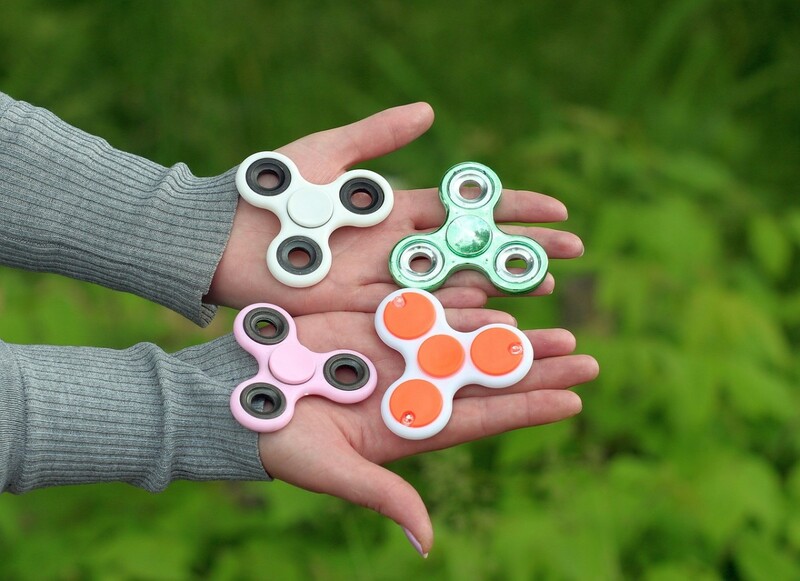 It comes in a travel sized package with US and global options that include three interchangeable plugs. 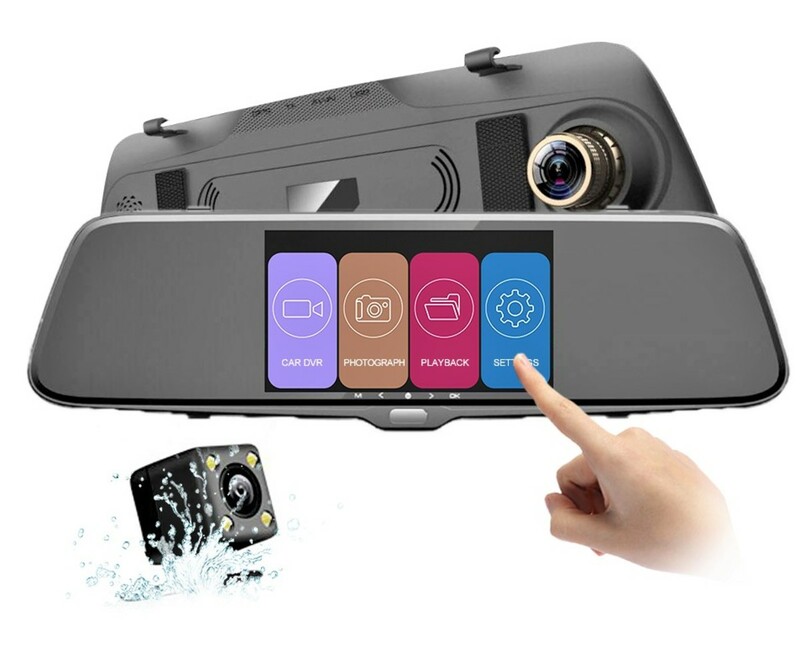 The Autowit Backup Camera with a 5" IPS front/rear view dash cam is an easy way to install your own car camera system. Cam comes in full HD, large wide-angle lens, and 24 hour monitoring for emergencies. 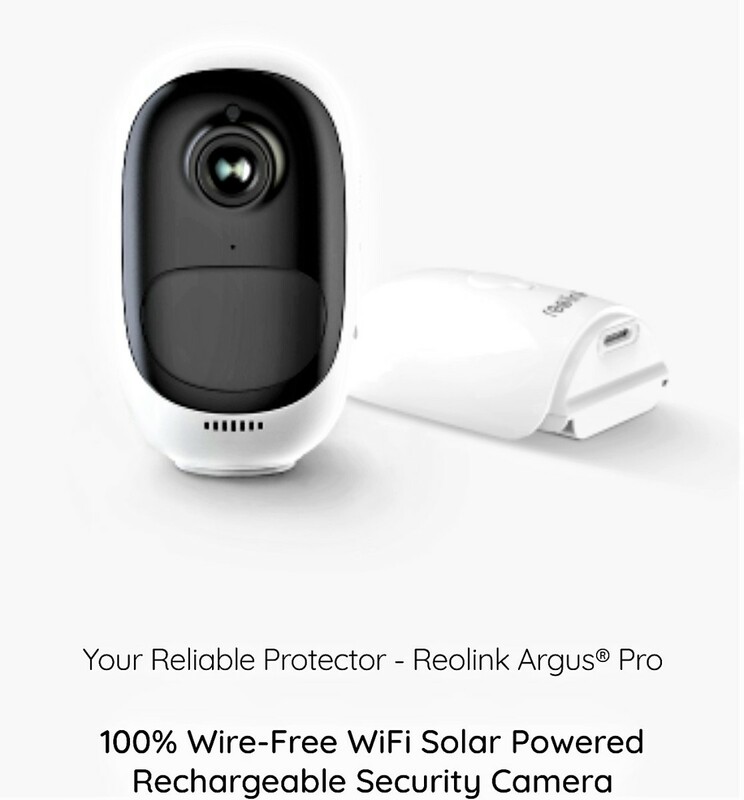 The Reolink Argus Pro is a full HD, wireless WiFi security camera with a rechargeable battery and solar powered options. It includes two-way audio, a 33ft night vision IR camera, and smart motion detection abilities. Good for indoor/outdoor usage with local & cloud storage settings. 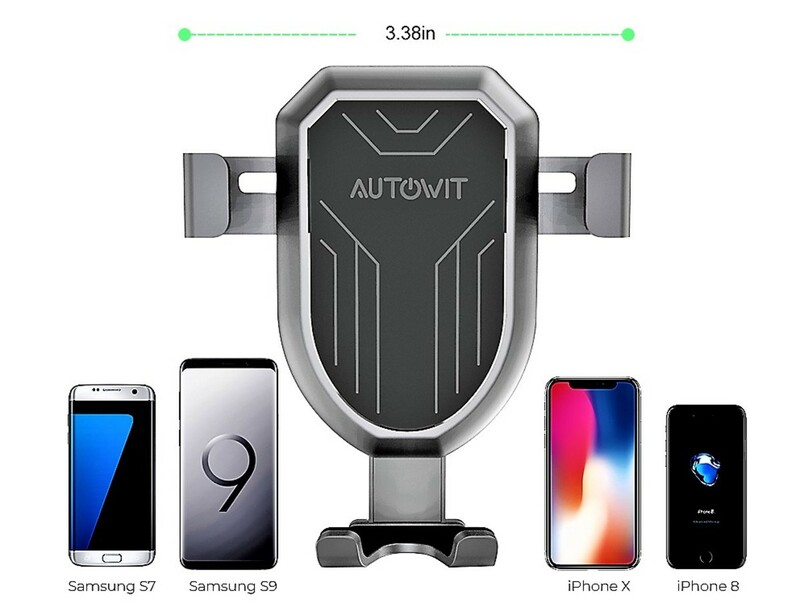 The Autowit Wireless Car Charger provides fast Qi charging to the latest iPhone/Android phones including iPhone X/XR/XS and Samsung S9/S9+. Charger can be used with car vents or dashboard mounts. 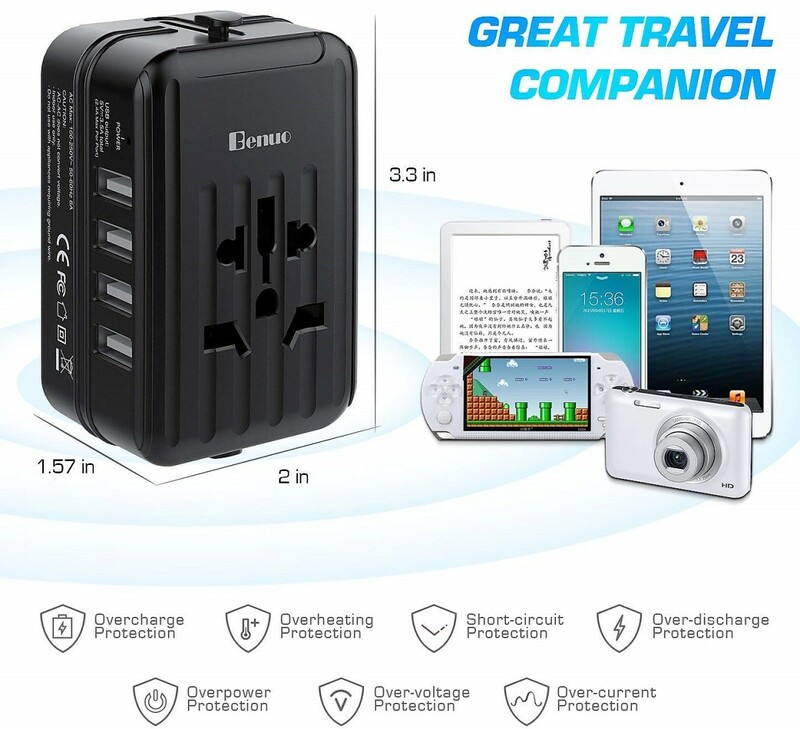 The Benuo World Travel Adapter has 4 retractable plugs that are compatible with 150+ countries plus 4 USB ports that can simultaneously charge your phone, laptop, tablet, digital camera, and more. The Meross Smart Wall Switch gives you hands free control of your home's lighting system. Create schedules, auto timers, and routines with the Meross app. Compatible with Amazon Alexa and the Google Assistant. 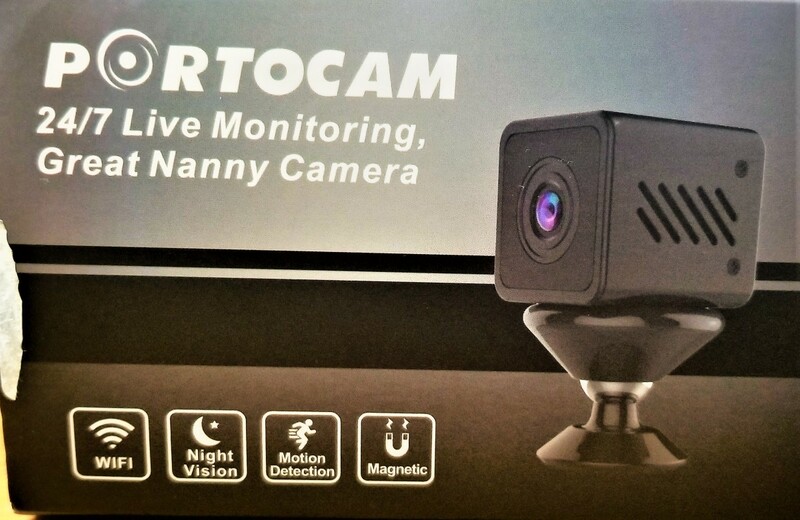 The Portocam 1080P Mini Spy Camera has motion detection for security, loop recording, and it includes a night vision mode. Supports class 10 micro SD cards of up to 128GB. 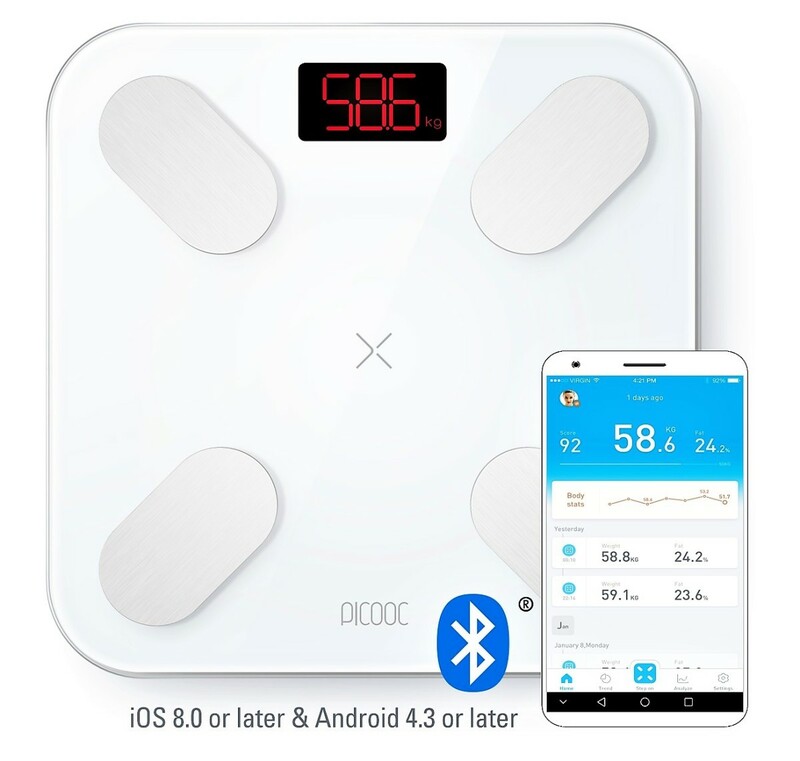 The Picooc Bluetooth Smart Body Fat Scale gives you 13 precise body measurements including body fat, muscle, and bone mass. Connects to app with charts, Google & Apple Health syncing, and multiple user profiles. 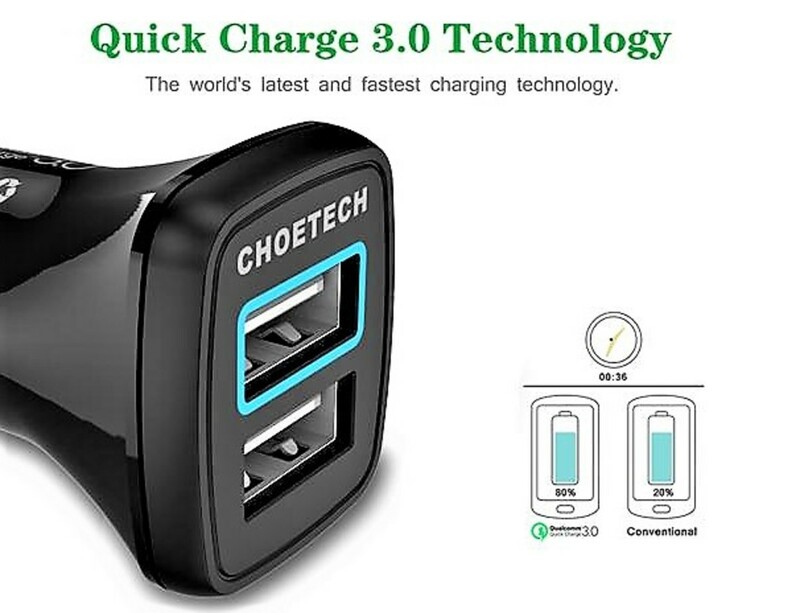 The 3 port Choetech Car Charger With Power Delivery provides 30W of charging fuel for iPhone & Android devices. Charge up to 3 gadgets at once with rapid speeds. 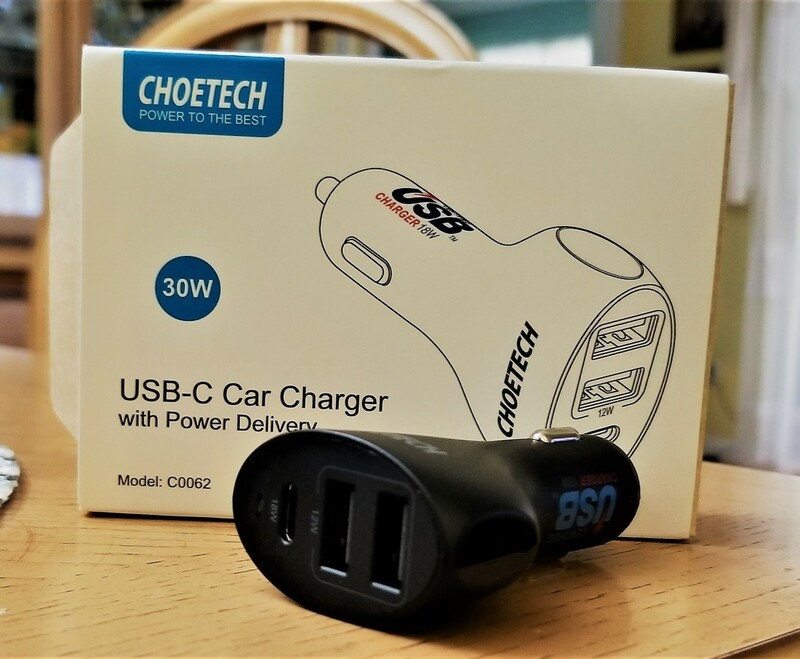 The Choetech 30W USB Car Charger uses Quick Charge 3.0 to charge compatible Samsung Galaxy phones 4x faster than normal. 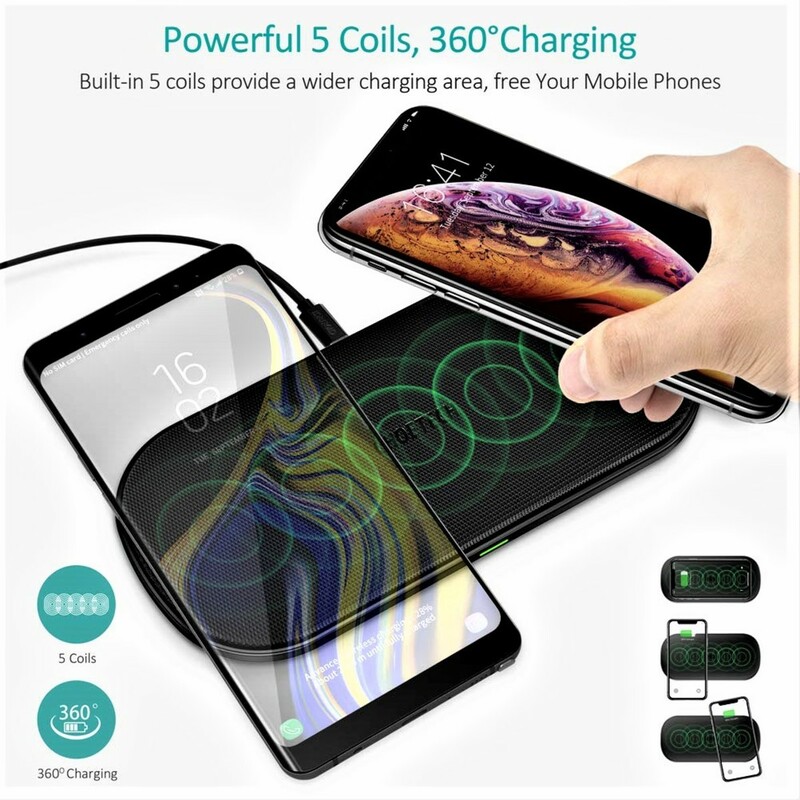 Smart charging with up to 2.4 amps for iPhone X/8/8+ and other Android models. 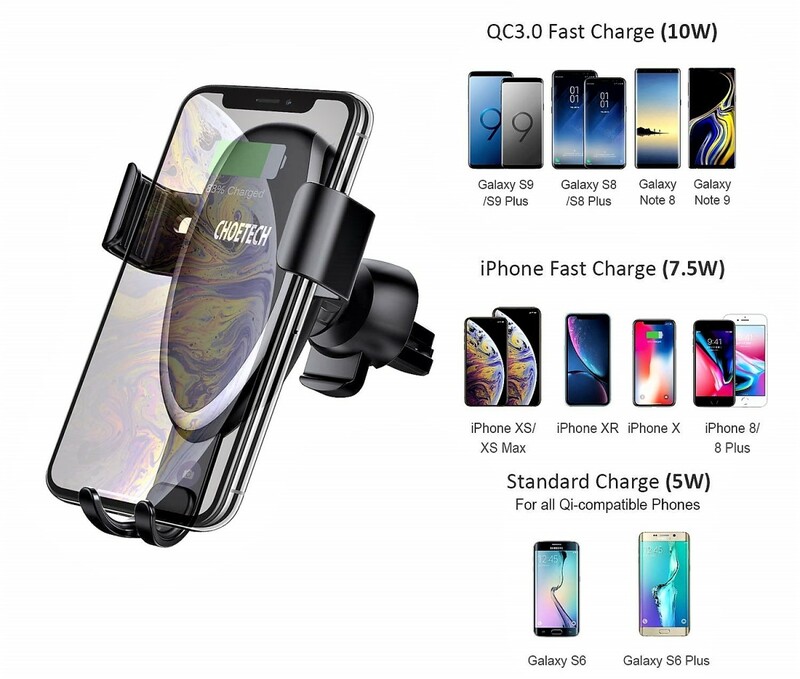 The powerful Choetech fast wireless charging stand can charge your iPhone X and 8/8 plus phones as well as Samsung Qi compatible phones like the S6/7/8/9. Delivers up to 10W of quick charge. 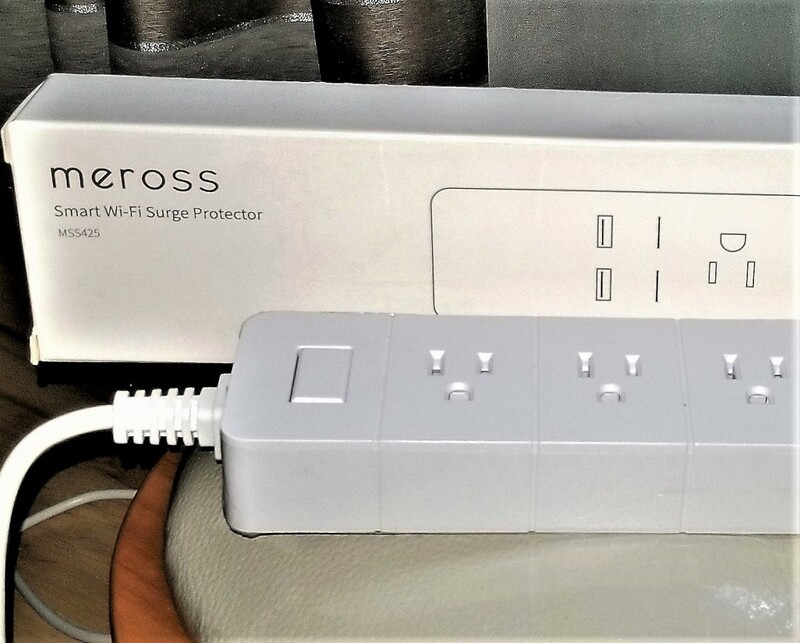 The Meross Smart Surge Protector comes with 3 AC outlets and 2 USB ports that can be controlled individually through the app or with Amazon Alexa and Google. 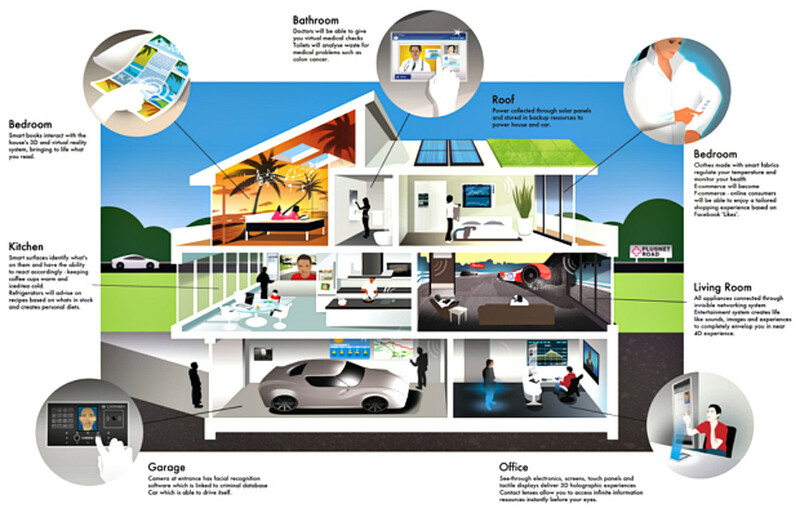 Controls lights, appliances, and more. 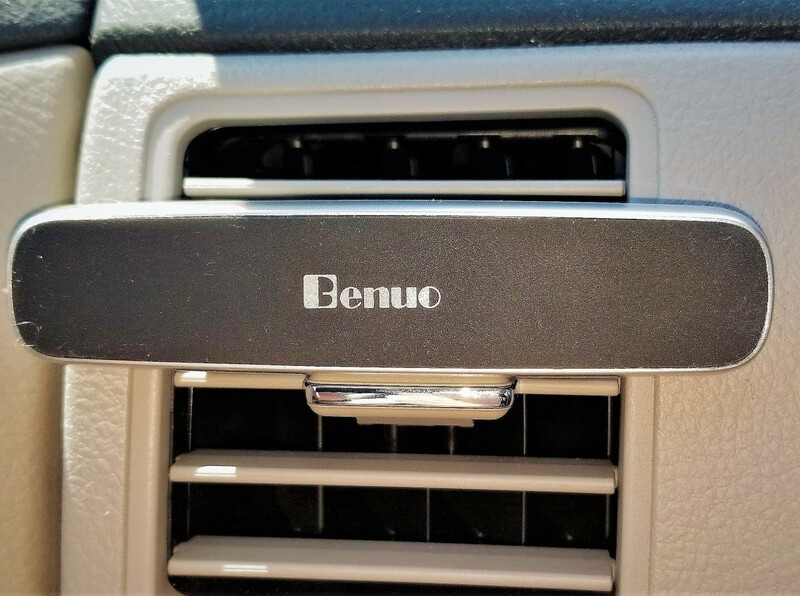 The Benuo Magnetic Car Phone Mount works with iPhone X/8/8 Plus/7/7 Plus/6s, Samsung Galaxy S5-9, GPS navigators, and more. 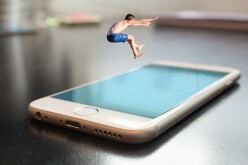 Hooks into air vents and keeps your phone secure even in bumpy conditions. 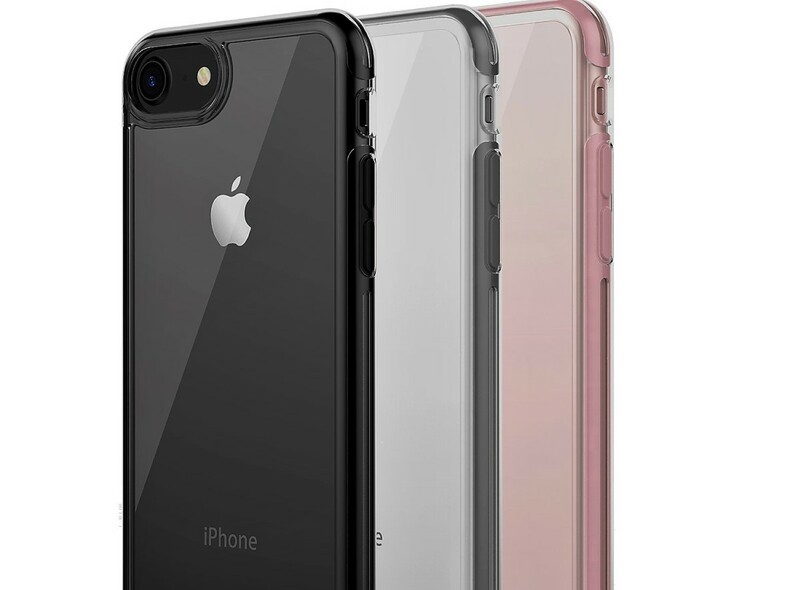 The Artifit Ultra Hybrid iPhone 6/6s/7/8 Case protects your phone from 3 meter drops, uses military grade materials, and has a slim, elegant design made for Apple lovers. 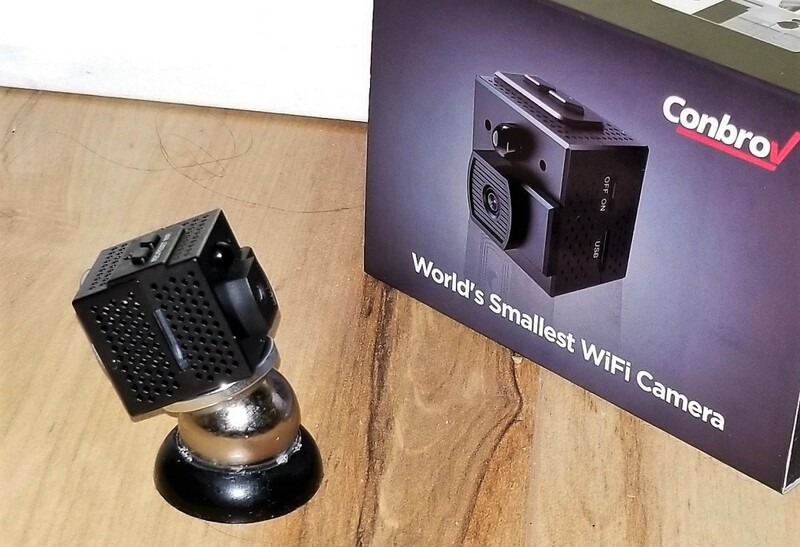 The Conbrov Mini Spy Camera is the world's smallest WiFi security camera at less than one cubic inch. 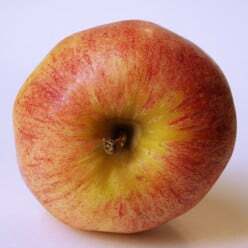 Records during the day or at night with its night vision cam. Useful for home surveillance. 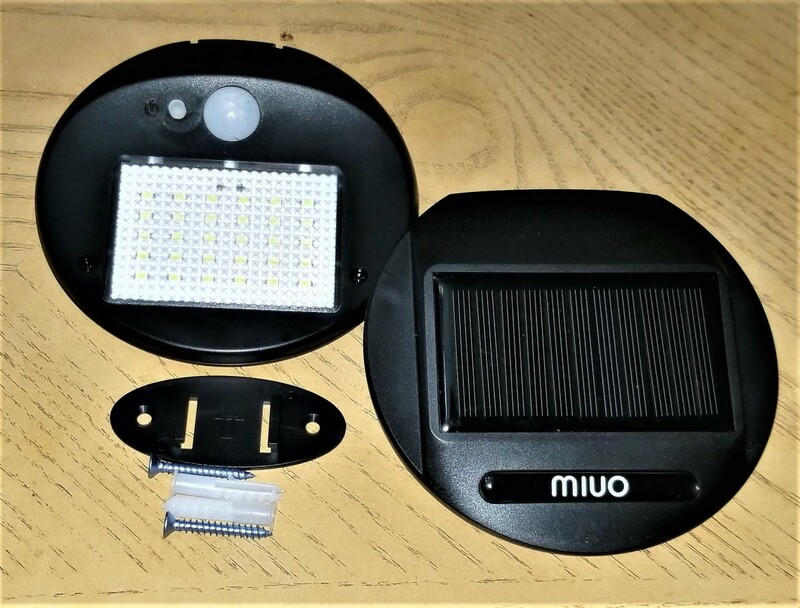 The Miuo Outdoor Solar Lights will save you money, secure your property, and protect your home. Comes with 2 motion sensing, solar powered lights that are packed with 30 LED's. 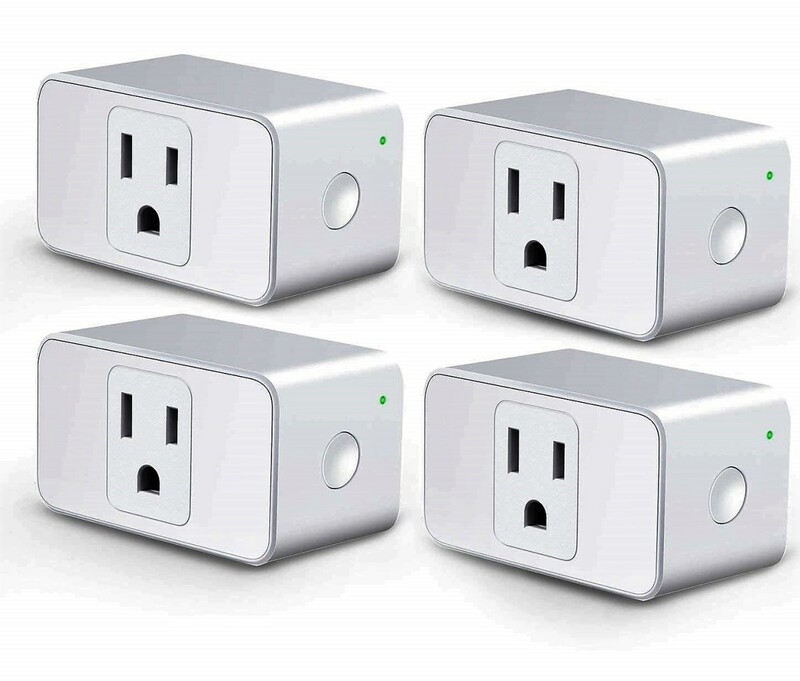 The Meross Outdoor Smart Plug comes with 2 outlets for multi-lighting and plug-in appliance controls. It comes with IP44 waterproof housing and it's compatible with Amazon Alexa and the Google Assistant. 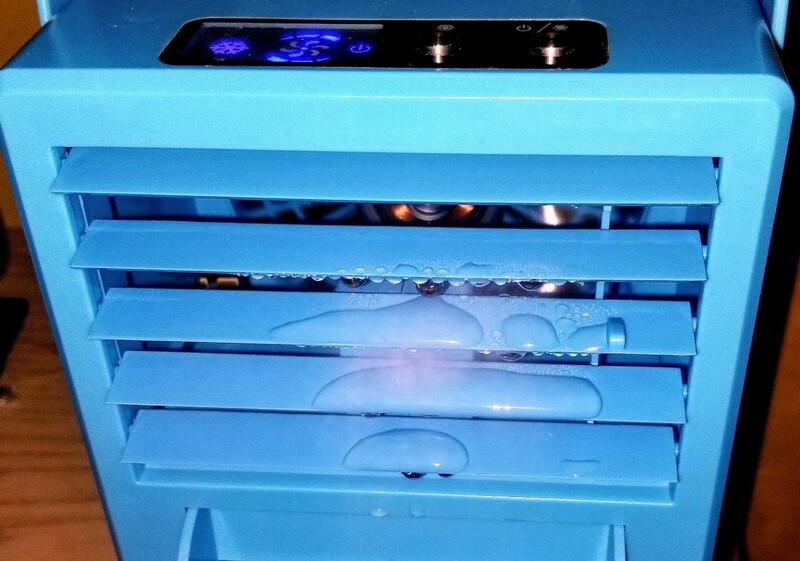 Sleep comfortably with the Oittm Smart Humidifier. 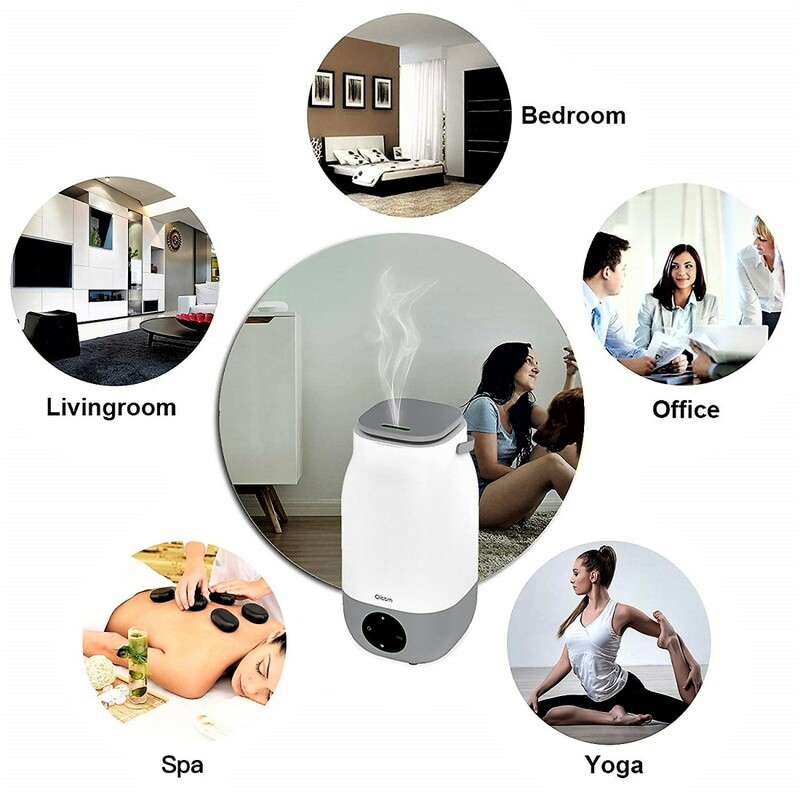 It contains a 3L water tank and its smart features make it easy to control from anywhere. Compatible with Amazon Alexa and the Google Assistant. 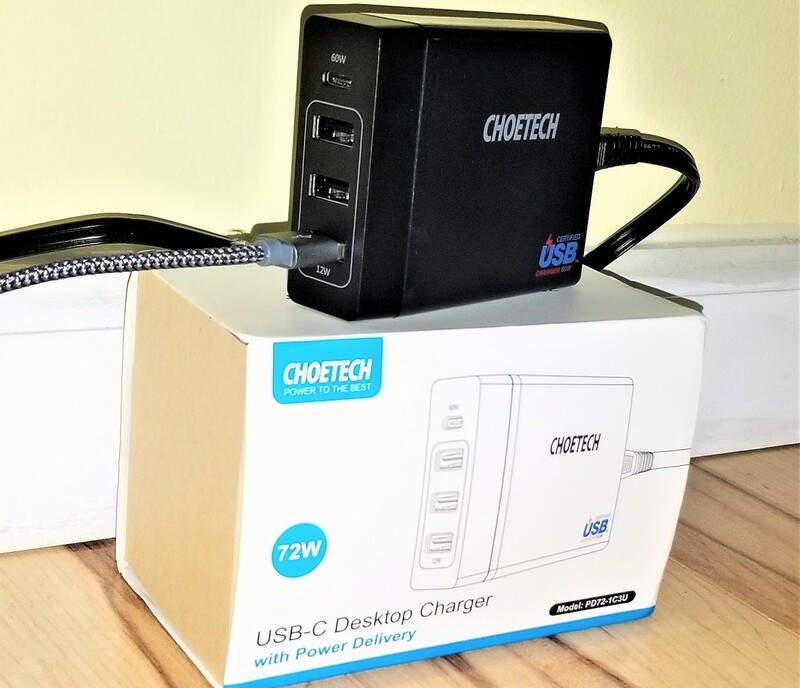 The 72W Choetech Desktop Charger has 4 charging ports including a 60W USB-C power delivery port for your MacBook, MacBook Pro, iPhone X, iPhone 8, iPhone 8 plus, and Google Pixel 2/2XL phones. Oittm's Smart Dimmer Light Switch automates your home, controls multiple lighting fixtures, and can be programmed from 1000's of miles away. 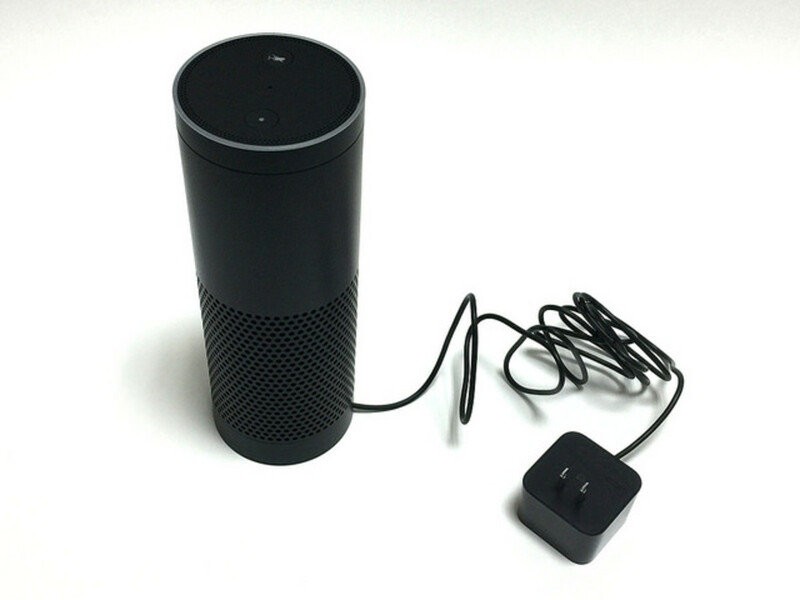 Compatible with Amazon Alexa and the Google Assistant. This 3-in-1 charging dock can hold an iPhone, Apple Watch, and AirPods at the same time. A new way to eliminate messy charging cables with a premium, silicon made Apple stand. 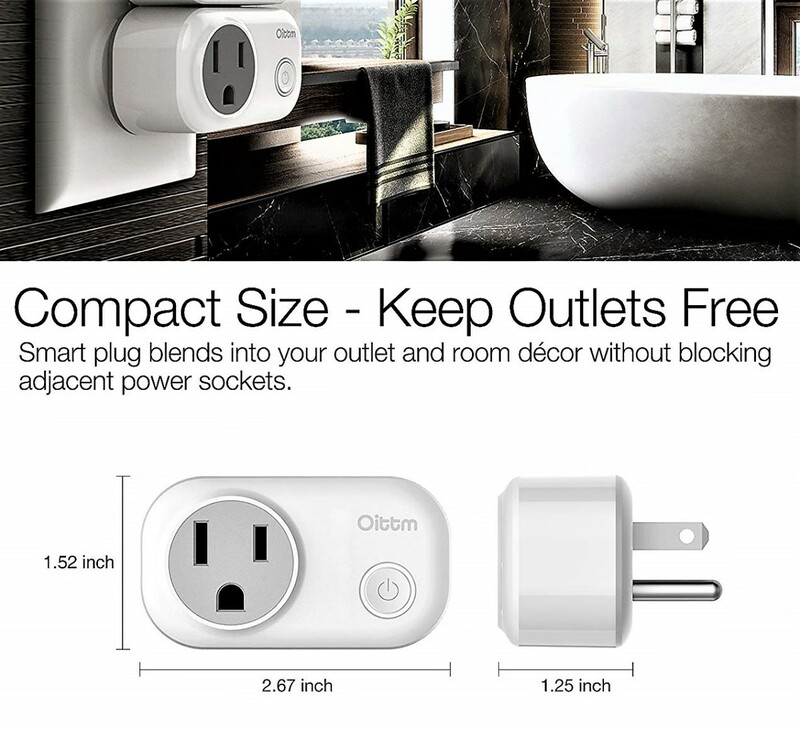 The affordable Meross Smart Wi-Fi Plug Mini controls lights, fans, portable heaters, and other small appliances through their app and by voice. 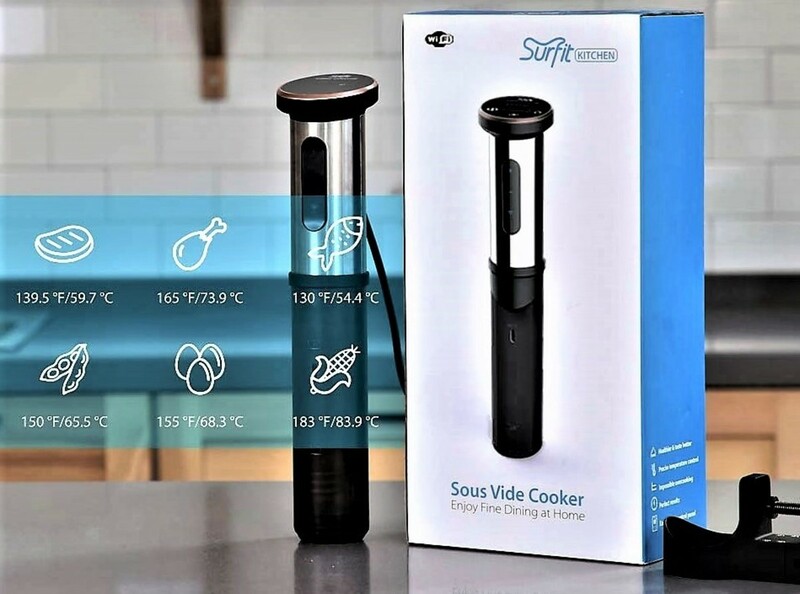 Compatible with Amazon Alexa and the Google Assistant. 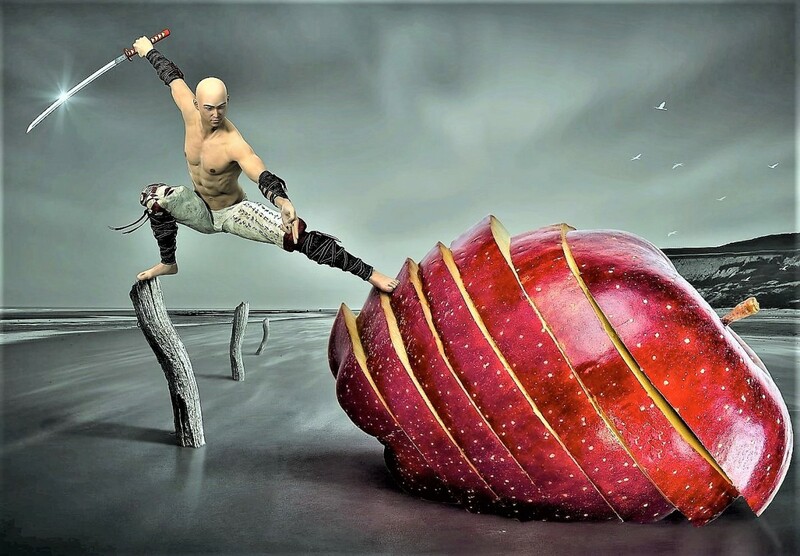 How to lose weight fast on the Warrior Diet. 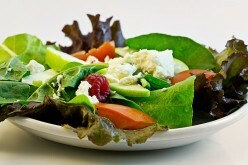 Health guide to one of the earliest methods of intermittent fasting. Why it's better and safer than the Keto diet. 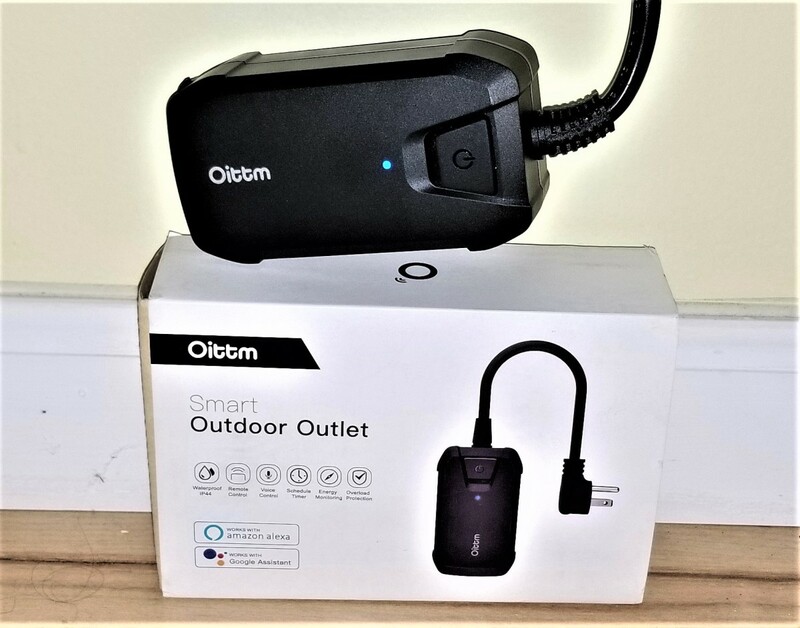 Oittm's smart outdoor outlet lets you control your indoor and outdoor lights, fountains, and plug-in appliances from the comfort of your own home. Compatible with Amazon Alexa and the Google Assistant. 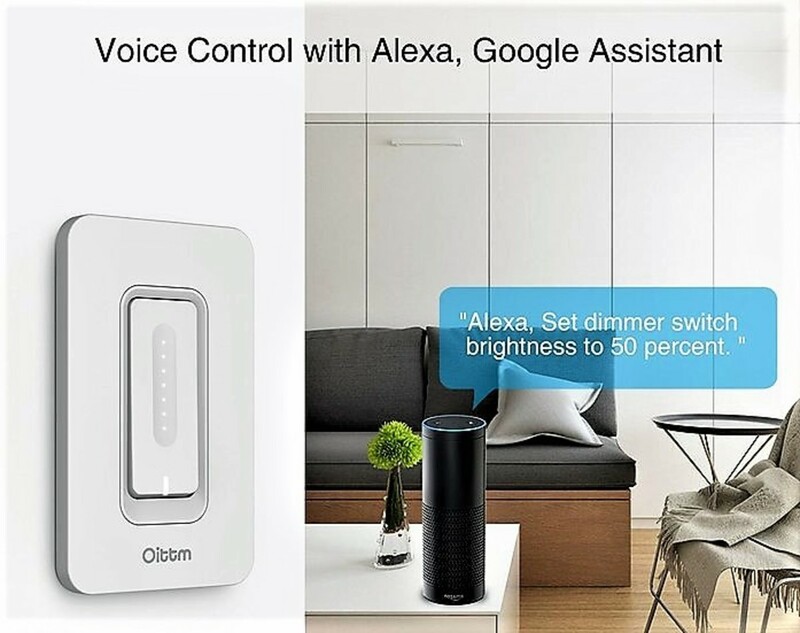 The Oittm Smart Plug Mini controls energy usage and is compatible with Amazon Alexa and the Google Assistant for hands-free voice control. 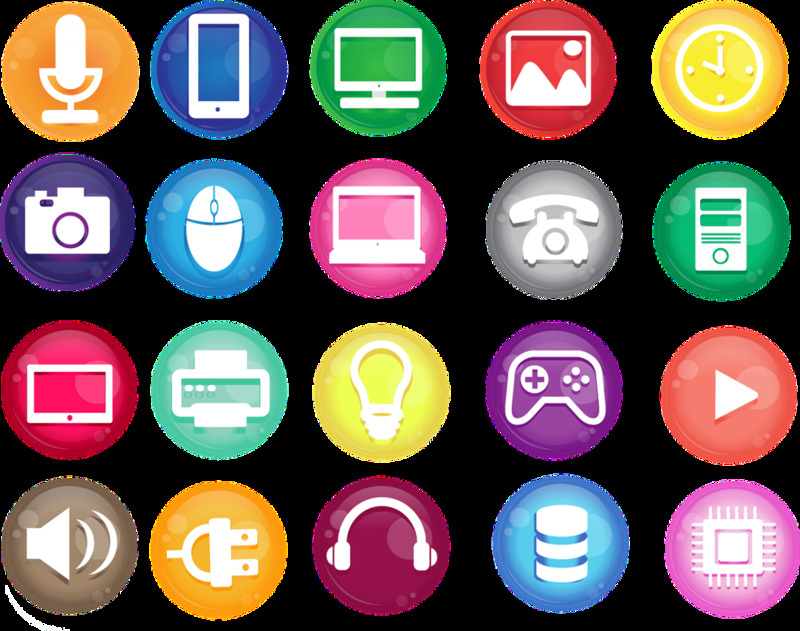 It doesn't require a smart hub and works with IFTTT. 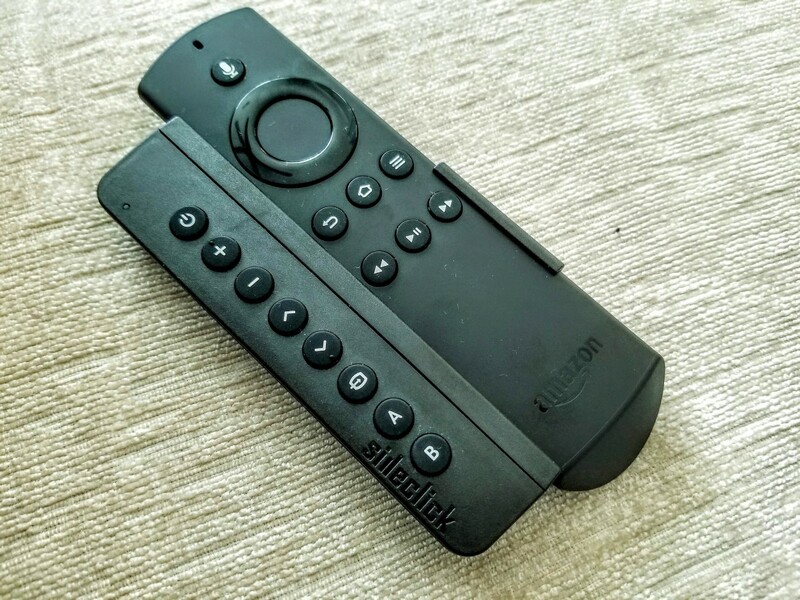 Review of Sideclick Remotes Universal Remote Attachment. How to turn your Amazon Fire TV or Roku streaming player into a universal remote at an affordable price. 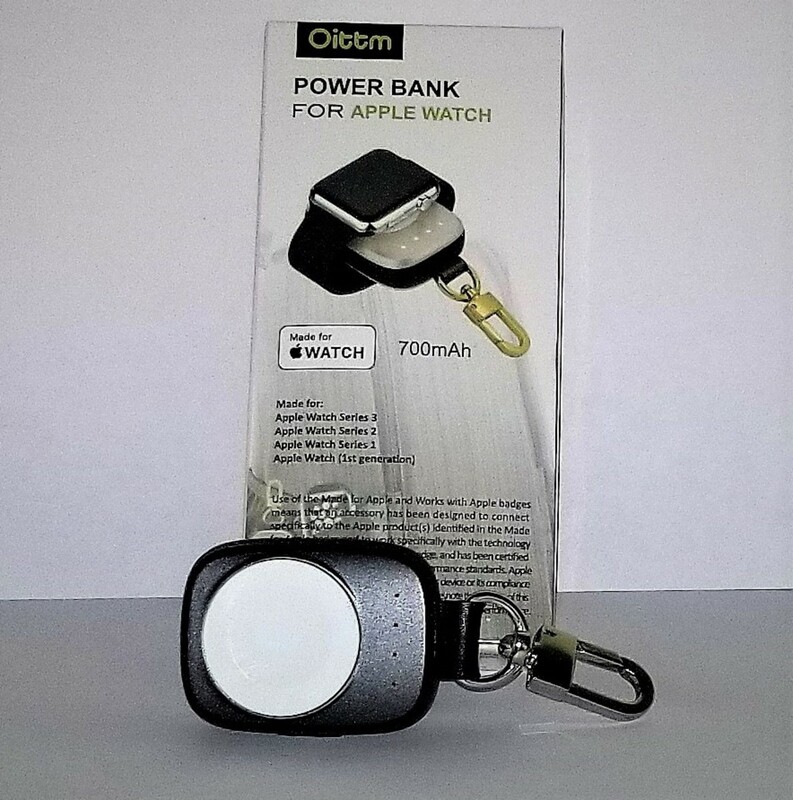 In-depth review of the Oittm Apple Watch Power Bank. Guide to one of the most portable and affordable Apple Watch wireless chargers on the market. 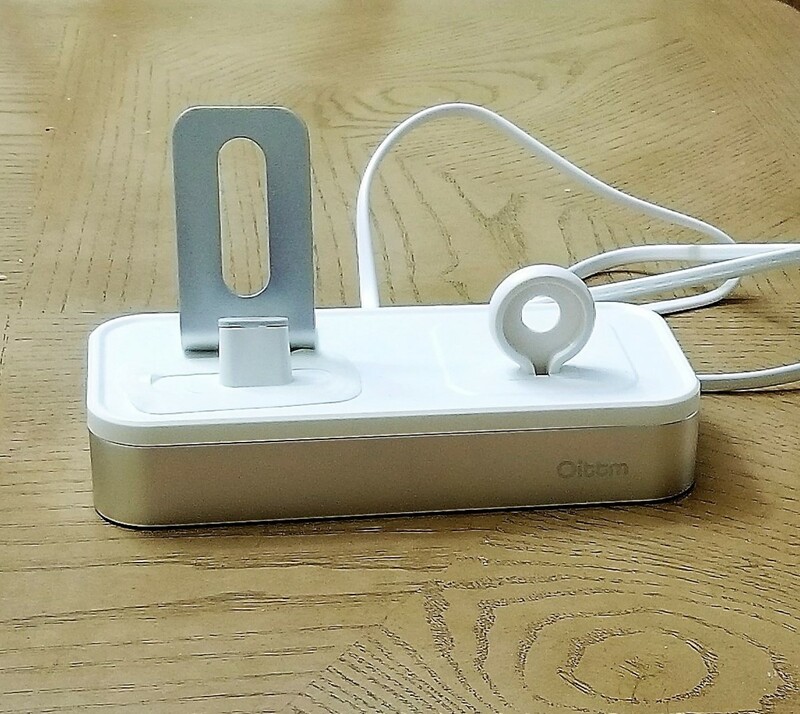 In-depth review of the Oittm 5-in-1 Apple Watch and iPhone Charging Stand. 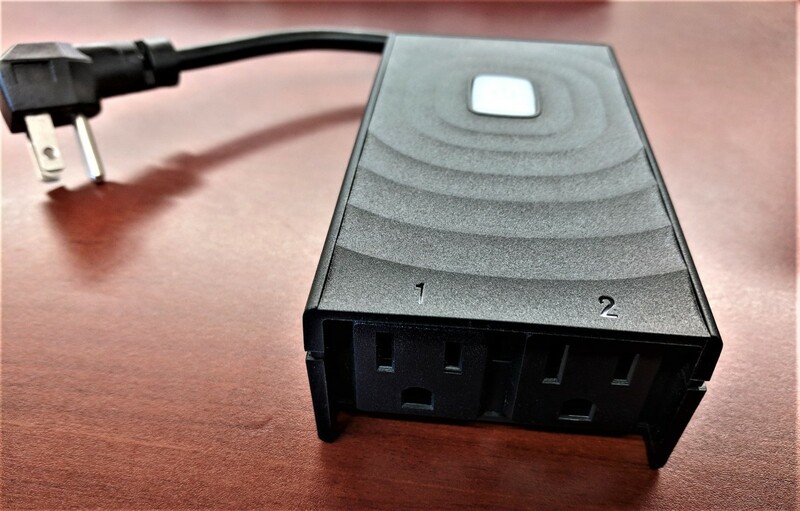 A look at a more affordable multi-charger with an intriguing design. Is "Baby" the worst Justin Bieber song of all time? Find out with the list of the worst Bieber songs ever made. 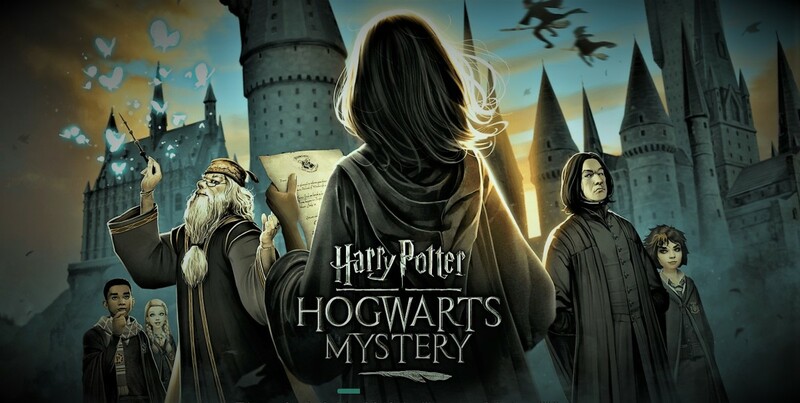 An in-depth app guide and review of Harry Potter: Hogwarts Mystery. Learn spells, potions, and meet Dumbledore, Snape, Hagrid, and all of your favorite characters from the Harry Potter universe. Get tips on how to survive the new magical adventure and become the wizard or witch of your dreams. Top Alexa, Amazon Echo, and Fitbit features that will help you lose weight. 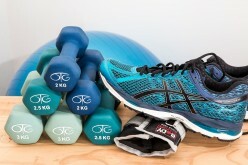 How to turn your Echo devices into your very own personal trainer for free. An in-depth guide to the Spaceflight Simulator app. 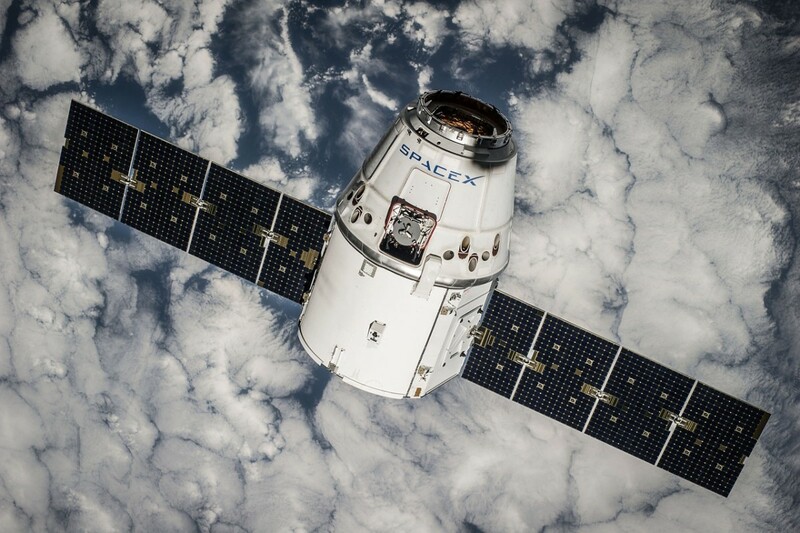 Build a SpaceX type rocket and try to land on the moon. This is the most realistic space flight simulator available due to its true orbital mechanics and planets scaled to size. 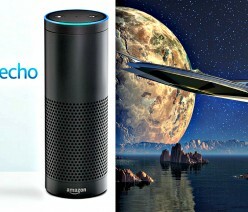 The 5 creepiest conspiracy theories about the Amazon Echo and Alexa. Are smart speakers like the Echo or Google Home dangerous? Does Alexa listen to everything you say? 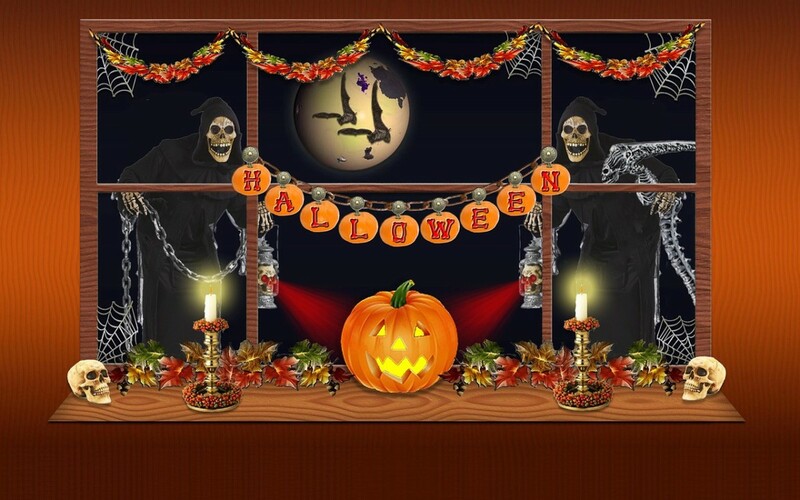 InstLife is a text-based game app that is best described as a mature version of the Sims. It is more realistic and, in my opinion, is the ultimate life simulator. 5 reasons 'It' is the perfect Halloween movie. How does Pennywise the dancing clown compare to Freddy Krueger and Jason Voorhees. 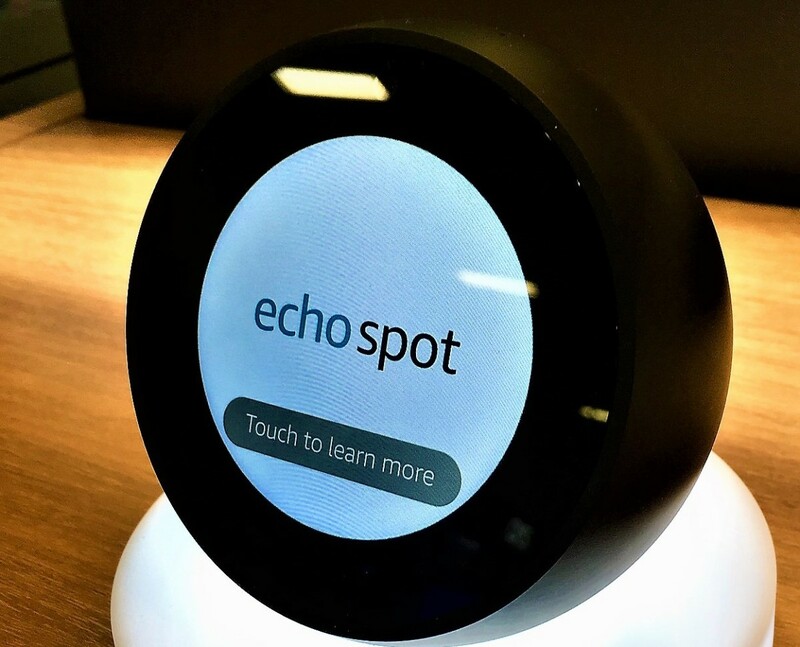 The Echo Spot is an Alexa powered touchscreen alarm clock that can make video calls, play news clips, view weather & traffic reports, and control your smart home. Are the Amazon Echo and Google Home better than the Apple HomePod? How Alexa and the Google Assistant compare to Siri. 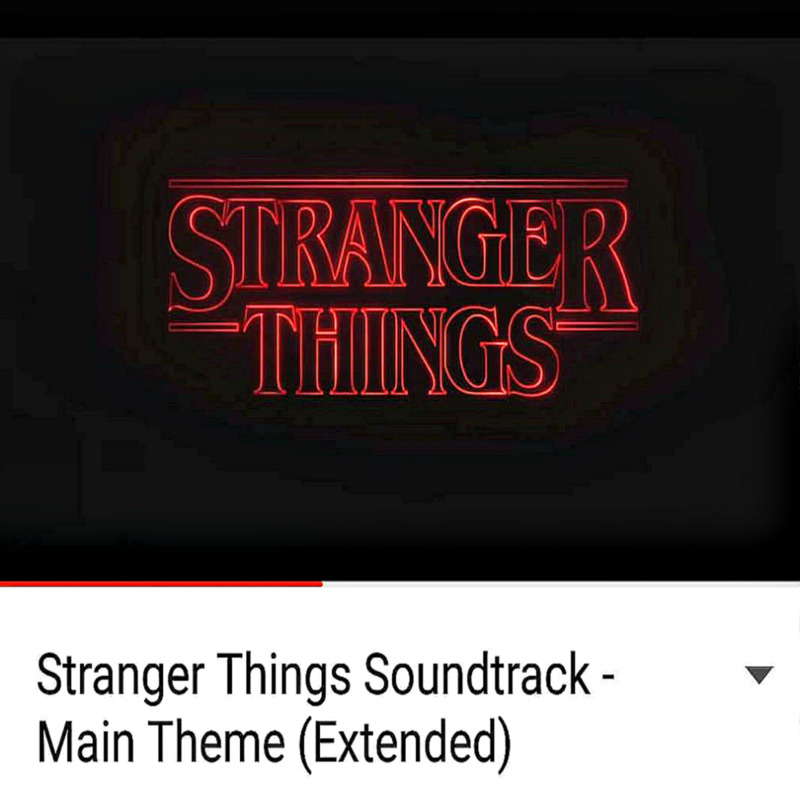 Top 15 Spotify Songs for "Stranger Things"
Top 15 Spotify songs to listen to when viewing "Stranger Things." 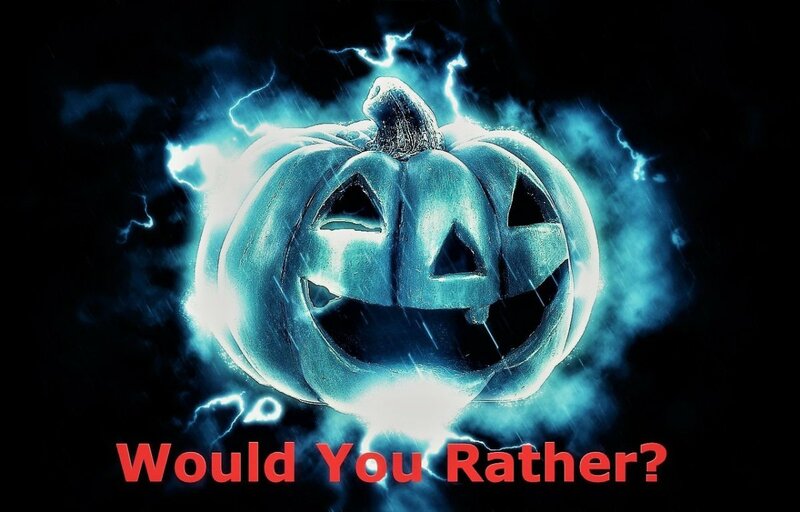 A Halloween- themed playlist for the show's second season on Netflix. This article shows you how to use Amazon's Echo Dot in your car as well as how to install Bluetooth in vehicles and enable Alexa voice control. Information about the new Echo Auto. The best challenges from the Fine Bros. YouTube channel. Try not to cry, try not to sing, try not to cry, and so much more. Fun and popular challenges for kids. 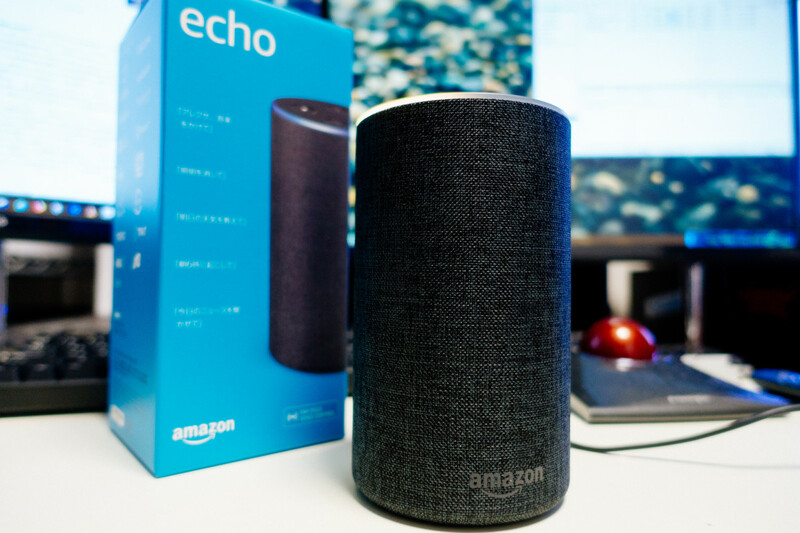 The top 100 Amazon Echo features include Spotify, Amazon Music, Alexa skills, and smart home products like Logitech Harmony, SmartThings, and more. Google Home, the competitor to Amazon Echo, is here. How does it compare to Google's Allo messenger or Google Now. 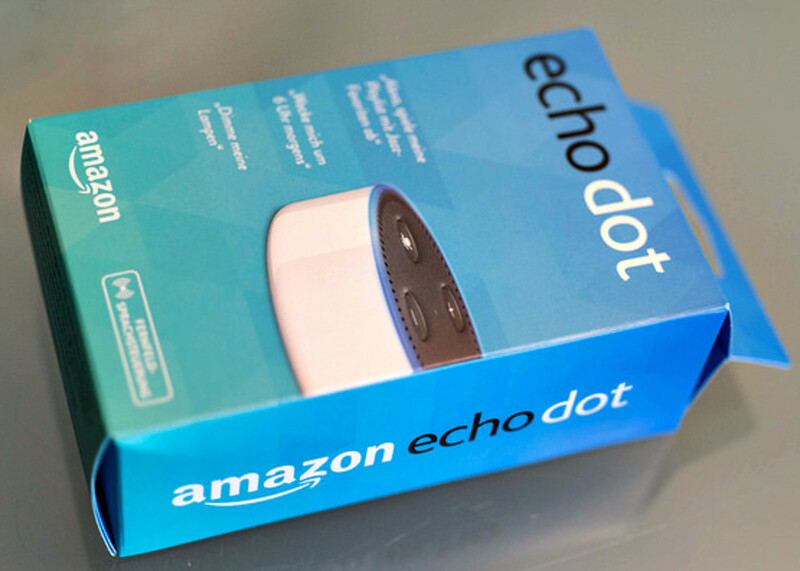 Echo Dot (2nd generation) best new features, specs, and updates for Amazon's smart speaker available for the US, UK, and Germany. 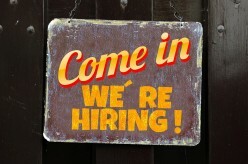 Do job interviews promote discrimination? 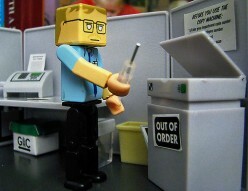 Find out how an interview can be sexist, racist, and politically incorrect in today's job market. The seven YouTube rules and community guidelines. 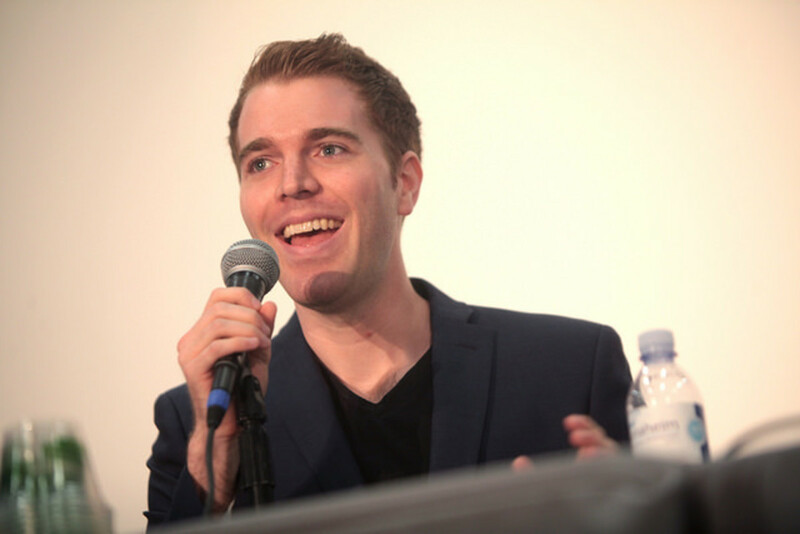 These 7 deadly sins are what youtubers can and can't do when starting a YouTube channel. The top 10 Amazon Alexa skills for job seekers including Uber for travel service, TrackR for finding lost phones, and ZipRecruiter to snag a job. Get the most out of your Amazon Echo. The Amazon Echo Show brings 11 cool features including a touchscreen to watch Prime video, Skype-like video calling, and a Nest-like security camera. Includes 2nd Gen Amazon Echo Show. Gambling addiction's effect on depression. 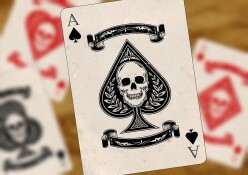 Is gambling disorder deadly? 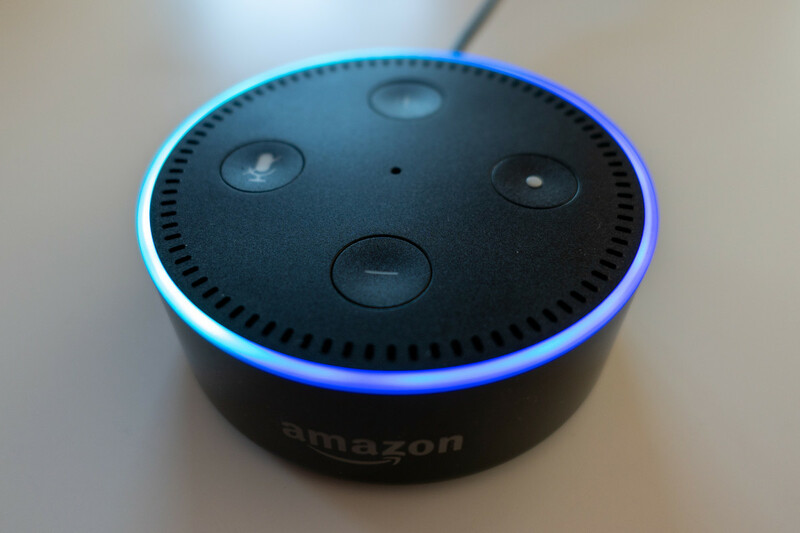 The 10 newest Amazon Alexa skills for Echo Dot. Skills include Lyft for travel, Sirius XM radio, and The Daily Show for entertainment. Why do YouTubers hate YouTube? 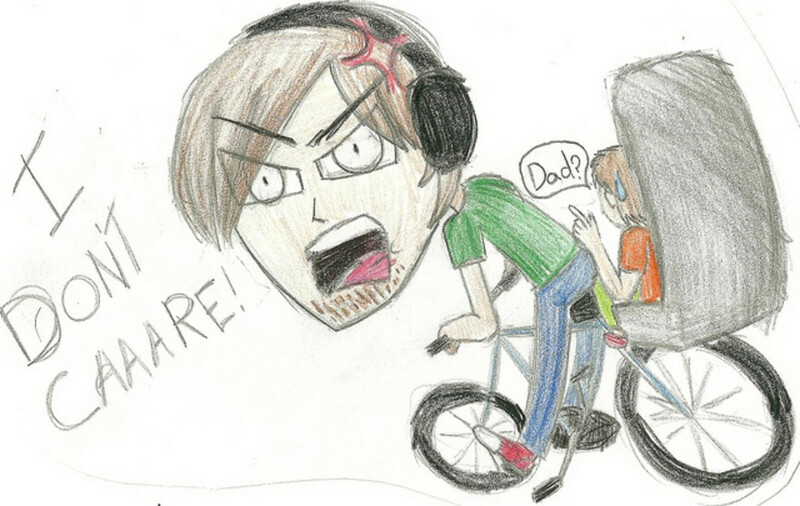 The 10 worst things about YouTube that digital celebrities like PewDiePie are sick of. 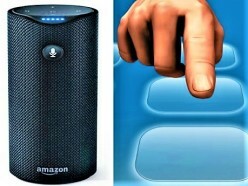 Apple Siri vs. Amazon Alexa: What Should You Use? What's the best voice assistant? 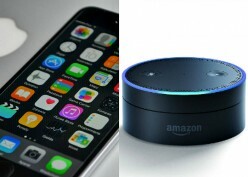 Top reasons to use Apple Siri for the iPhone and Amazon Alexa for Echo devices. The best and worst of the Amazon Tap. 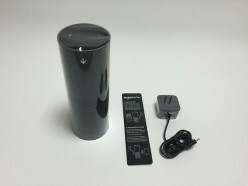 Discover if this on-the-go Alexa speaker can challenge the Amazon Echo and Echo Dot. 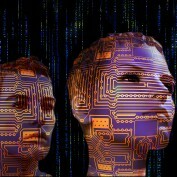 Does progress in technology further atheism and agnosticism? 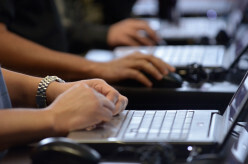 How does the tech industry influence our religious beliefs. For example, it needs to enable more languages, wireless charging, facial recognition, and have more Google-like artificial intelligence. 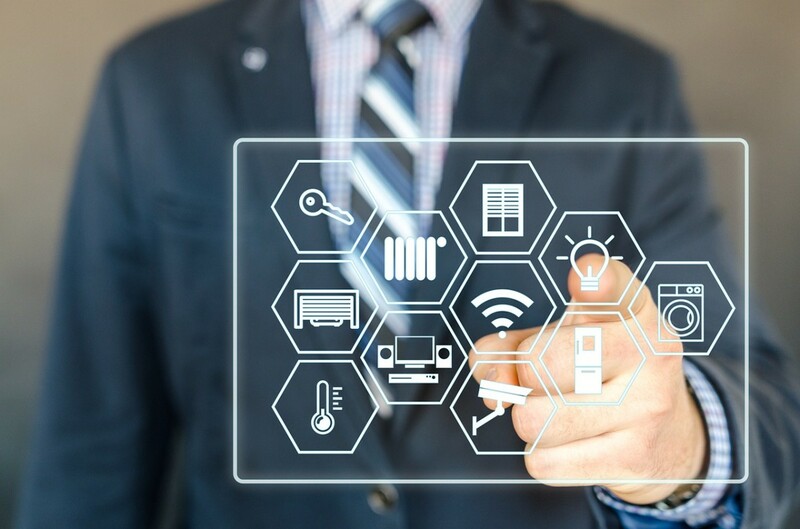 Amazon Echo's top 11 smart home skills for your home from companies like SmartThings, Wink, Logitech Harmony, and Nest all found in the Amazon Alexa app. 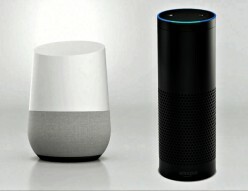 The Amazon Echo vs. the Google Home and Google Home Mini voice assistants. Which Bluetooth smart speaker will take over your smart home? How Alexa compares to Google and should you buy both? 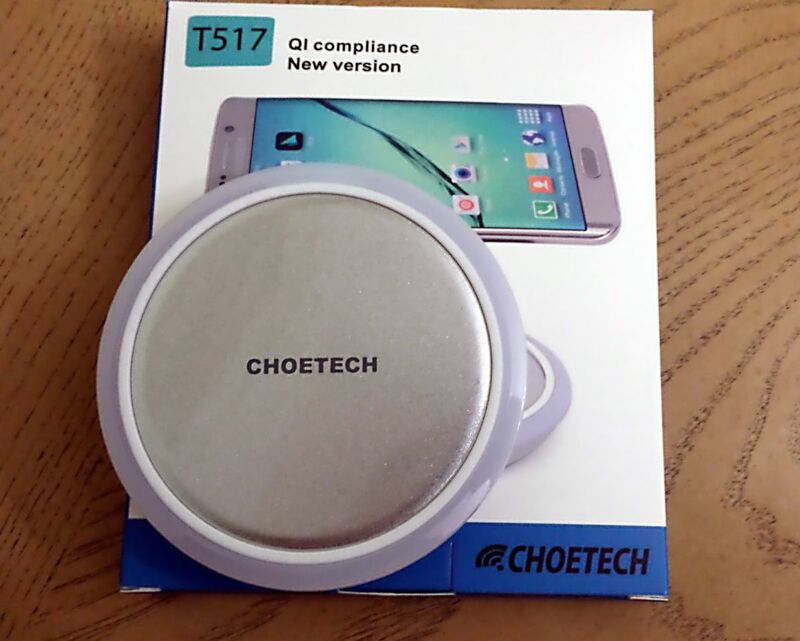 Product review of the Choetech Circle (T517) Charging Pad for Qi wireless charging. 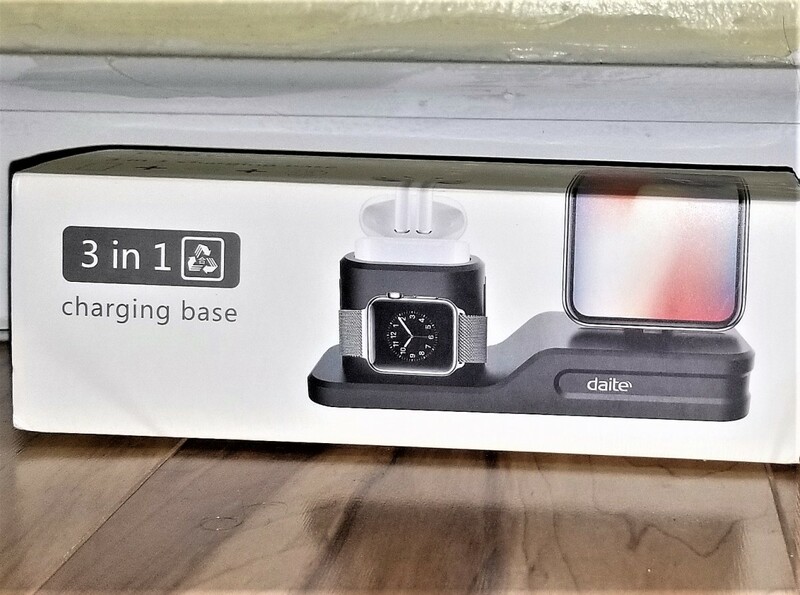 Discover one of the most affordable Qi chargers on the market. 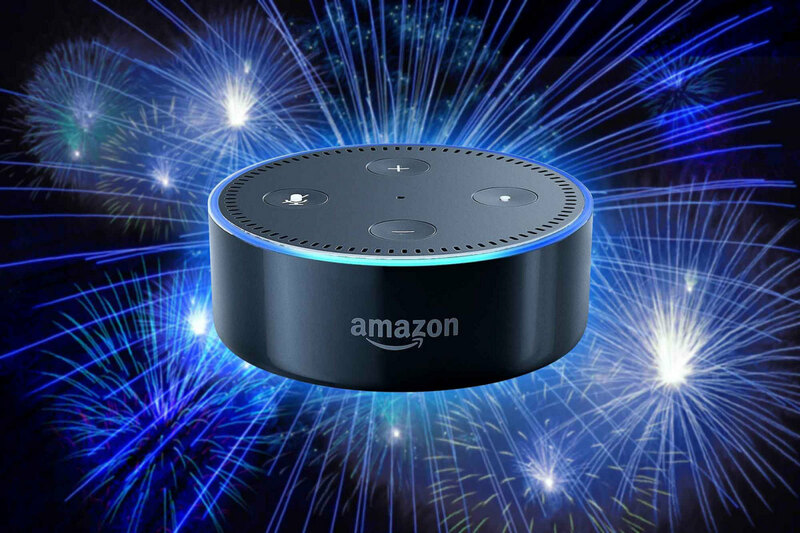 How the powerful $30 Echo Dot became the best selling Alexa smart speaker and how it compares to the $90 Amazon Echo and $150 Echo Plus. 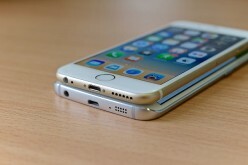 The future of Apple iPhone is a curved OLED display that can bend. 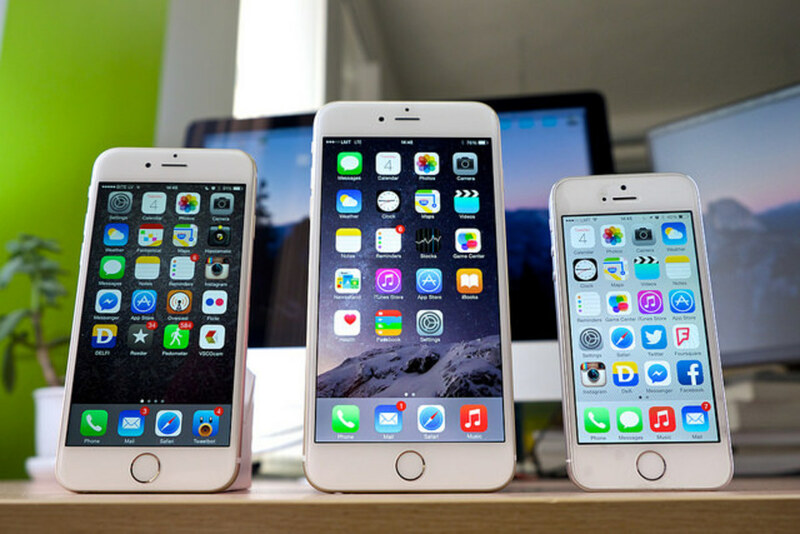 iPhones could have a full glass body similar to the Samsung Galaxy in the next couple years. Are Uber's Self-Driving Cars for Old People? 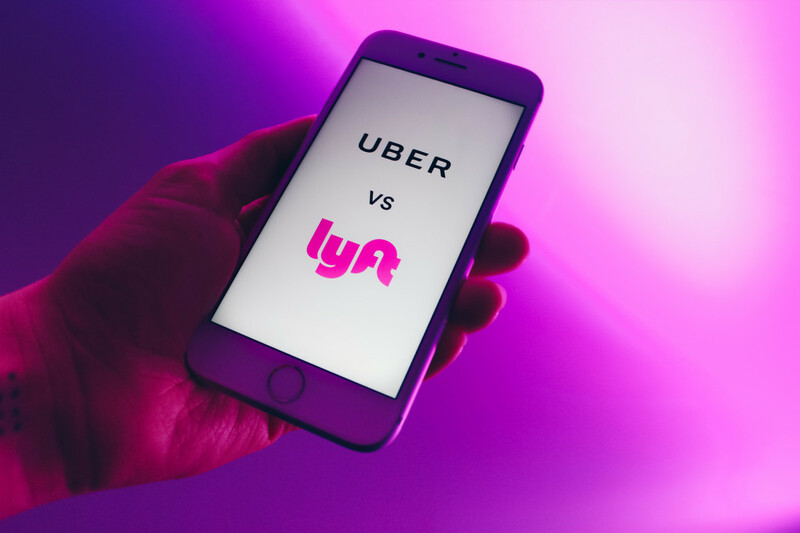 Are Uber and Lyft the future for old people? 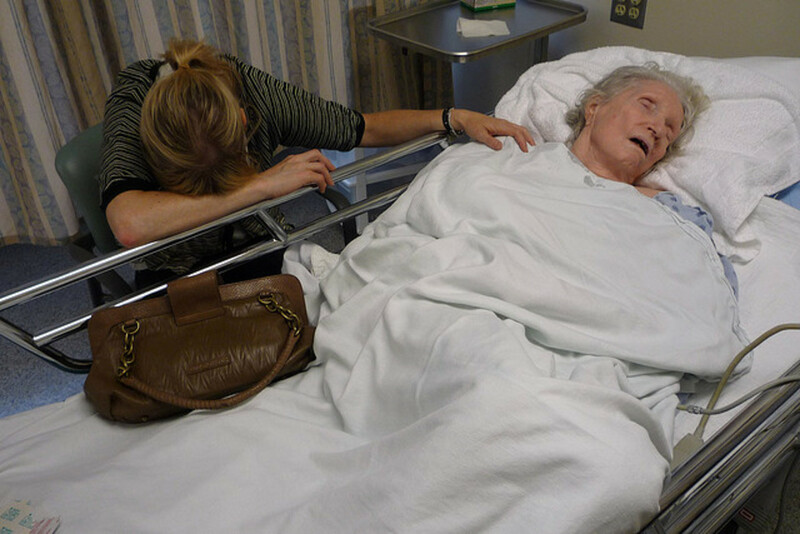 How will self-driving cars change lives for the elderly? From iPhones to PCs to Facebook. 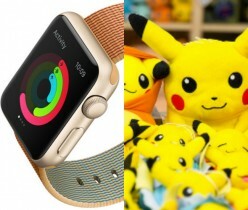 These are the 10 most popular inventions that have influenced Generation Z & Millennials. 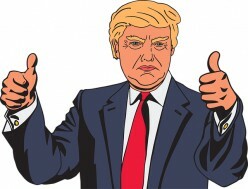 Could billionaire Donald Trump be a gambling addict? Discover why the wealthy upper class and millionaire celebrities may have the most severe gambling addiction. The top 25 best dating rules for Tinder. 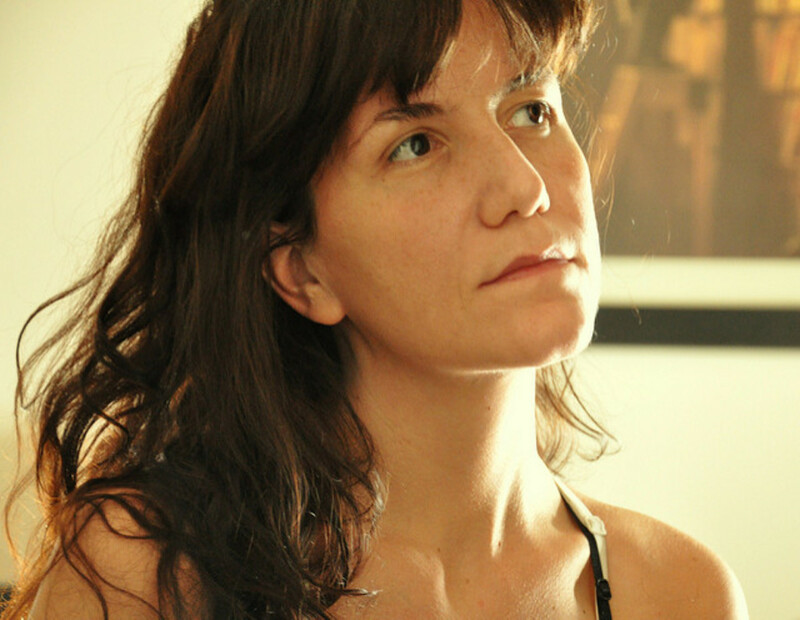 How to find love using dating apps and avoid casual hookups. 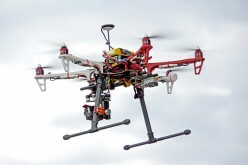 What's Amazon Prime Air? 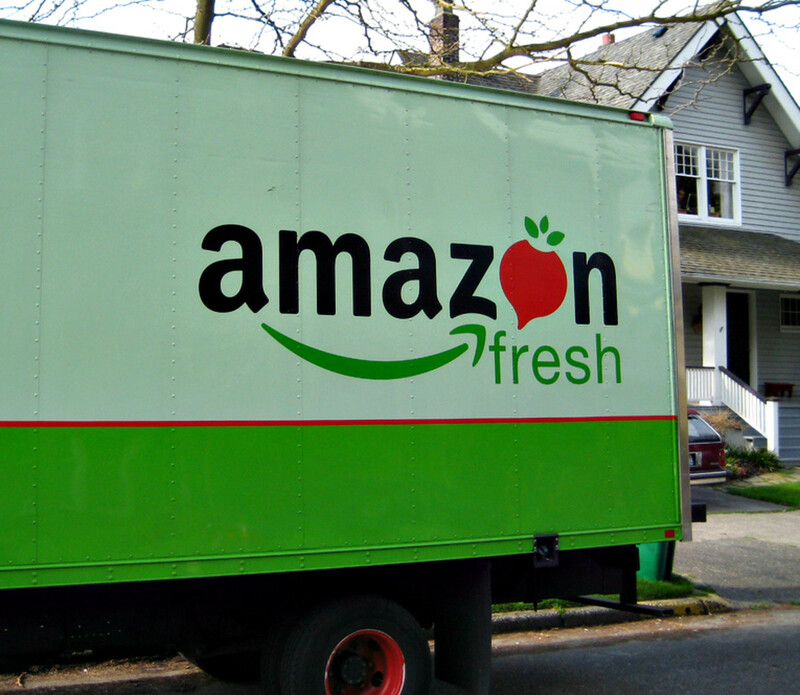 Amazon's master plan to offer faster, free shipping for everyone. 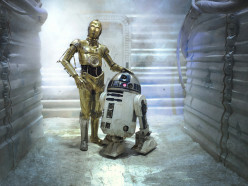 Is Jibo the Robot Real? The $899 Jibo social robot has arrived. Will a Pixar robot change Alexa and the Amazon Echo's future? 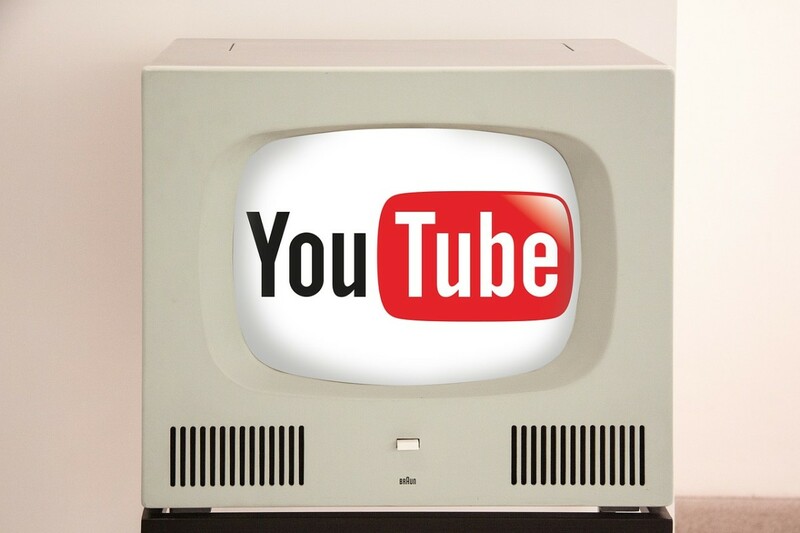 The 10 most popular reasons to cut the cord and switch to YouTube. 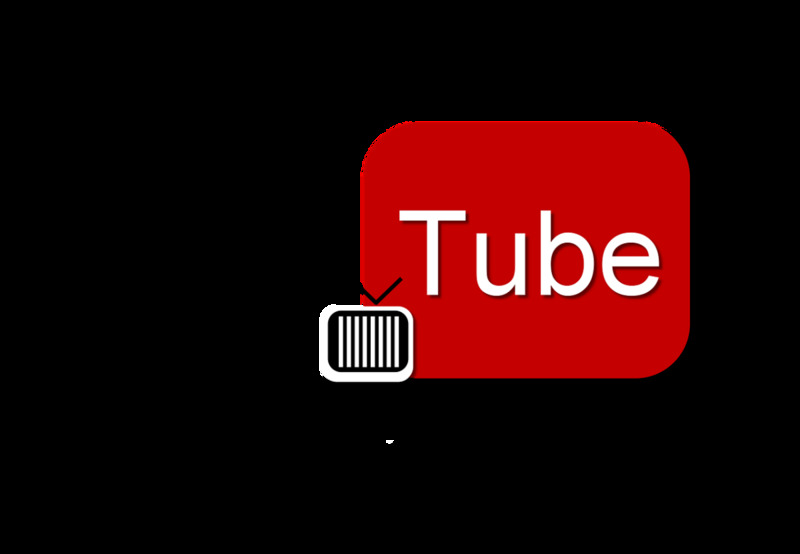 Why YouTube is much better than cable TV. The Amazon Echo brings an AI assistant into your home. The future of voice control and smart home automation is here with Amazon's Alexa. 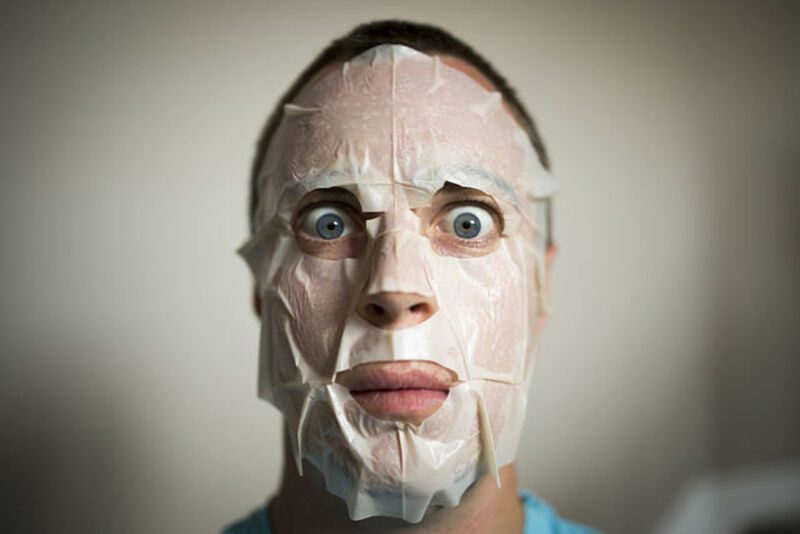 The 10 most dangerous risks of being an internet troll on YouTube. How trolling for views can ruin lives and send you into depression and social media exile. 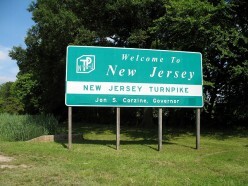 Top 100 reasons New Jersey has worst traffic in the US. Why is NJ the worst state to drive in? 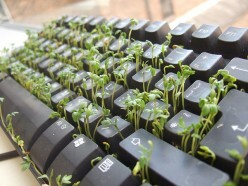 Being an internet troll is not easy. 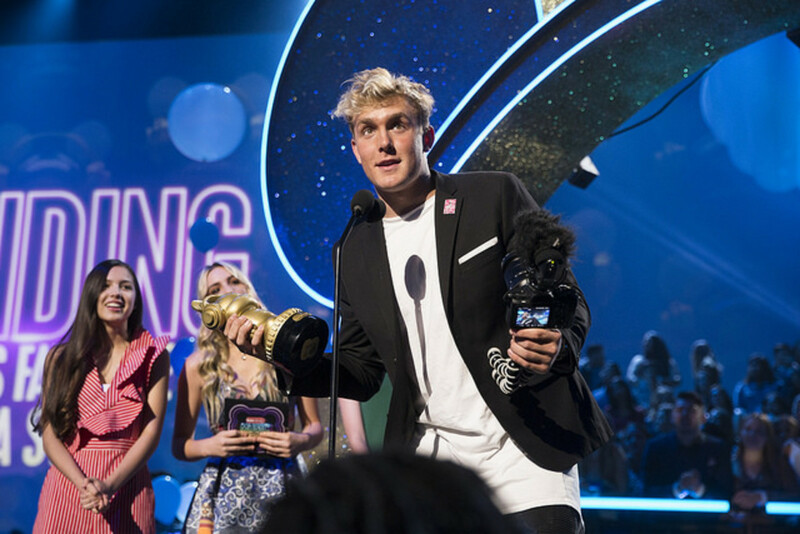 Listed in this article are 6 steps to become the next money-making YouTube troll. 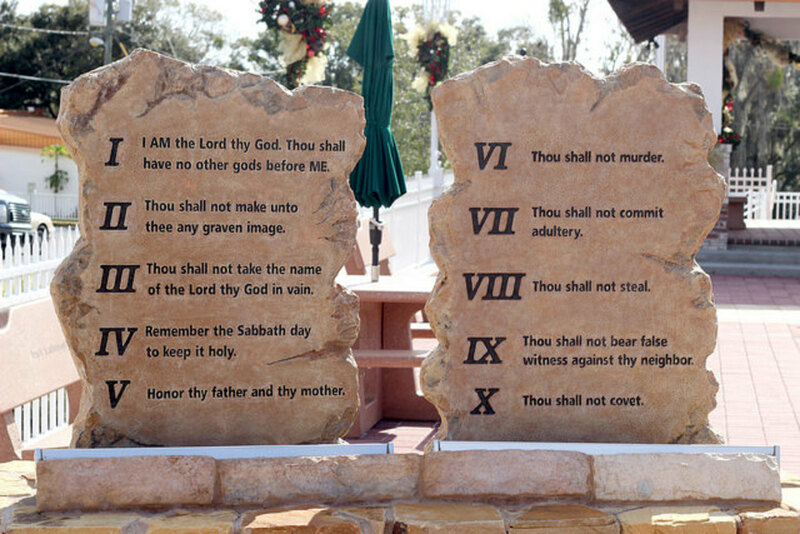 What are the 10 commandments that prevent gambling addiction? Explore what an addict should and shouldn't do to promote rehab and recovery. 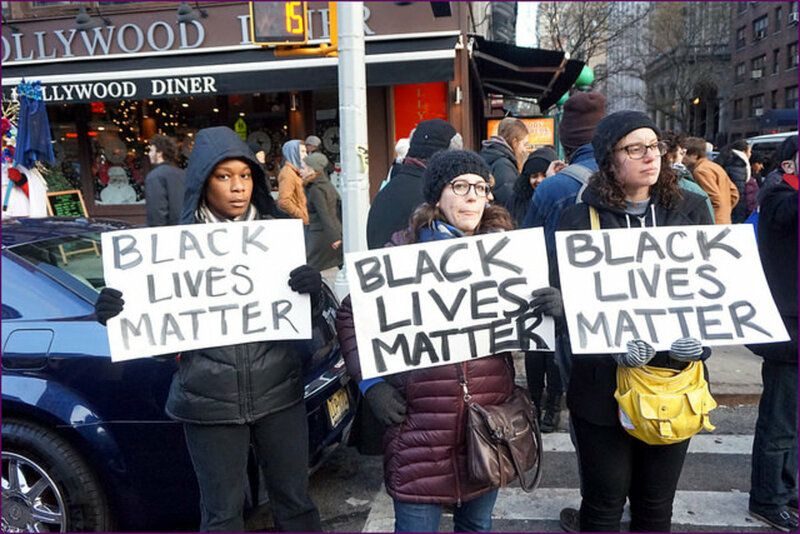 Do Black Lives Matter? 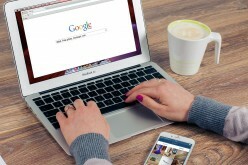 Discover 100 dumb Google searches about black people. What do people really think about African Americans? How does society define the average man? Find out through the 100 dumbest Google questions about male stereotypes. 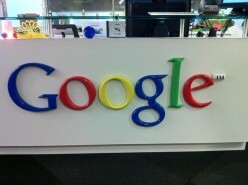 Discover the 100 dumbest Google questions about the LBGT community real people have asked. 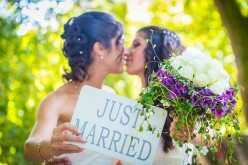 Do they support gay marriage and gay rights? Explore the 100 stupidest Google Feud game searches about atheism and atheists. Are they dumb, angry, and terrible? 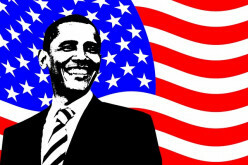 What people really think about President Barack Obama. Explore 100 of the dumbest Google questions people ask about the 44th president of the United States. 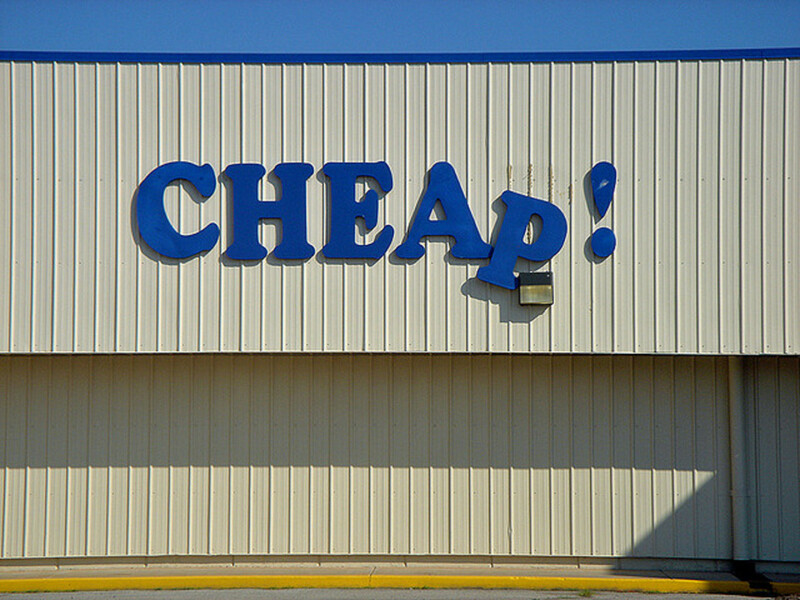 How to defeat the super cheap when fans of Extreme Couponing and Extreme Cheapskates unite! A lesson in writing money making fanfiction that is ridiculous enough to become the next Twilight fandom spin-off known as Fifty Shades of Grey. 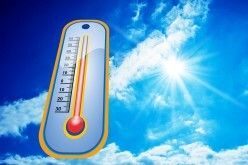 What you should know about heat waves. 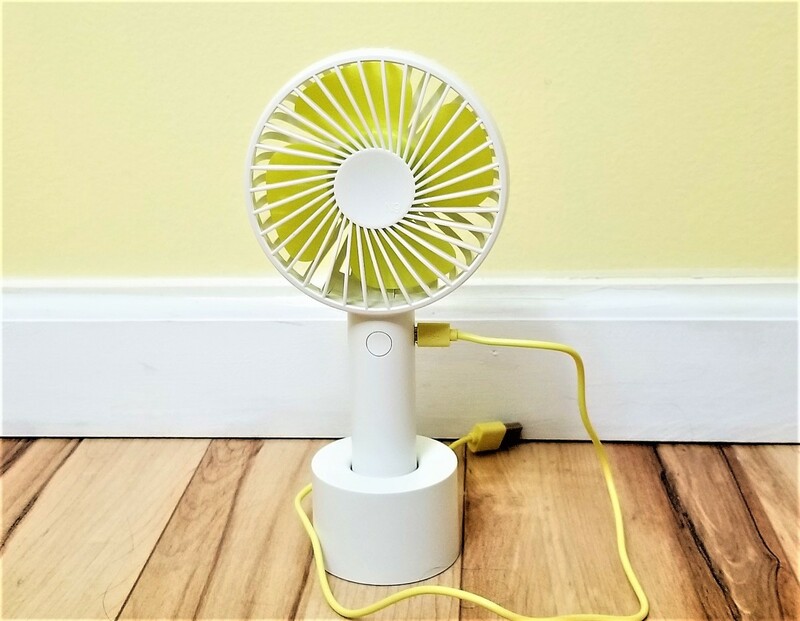 How to survive an extreme heat wave. A guide to summer heat, humidity, extreme weather, and climate change. How to stop gambling addicts from buying scratch-off lottery tickets. 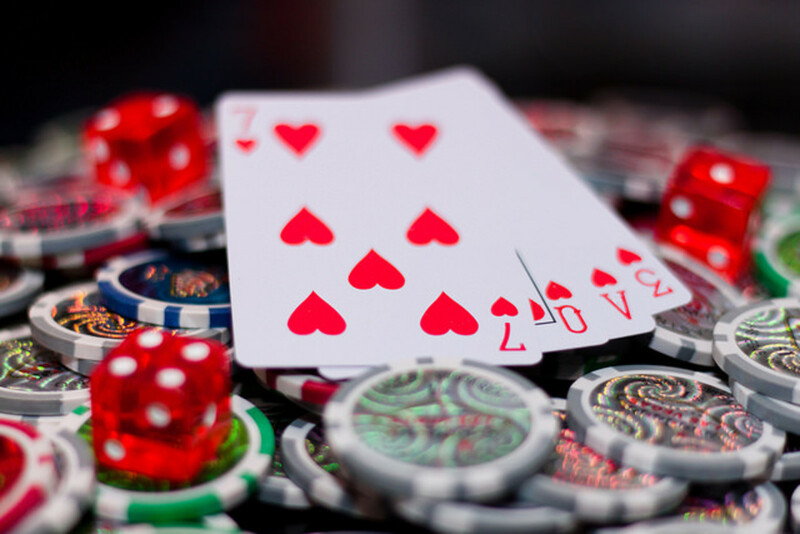 Gambling addiction tips, tricks, and alternatives. Monopoly buys, trades, and moves that guarantee losses. 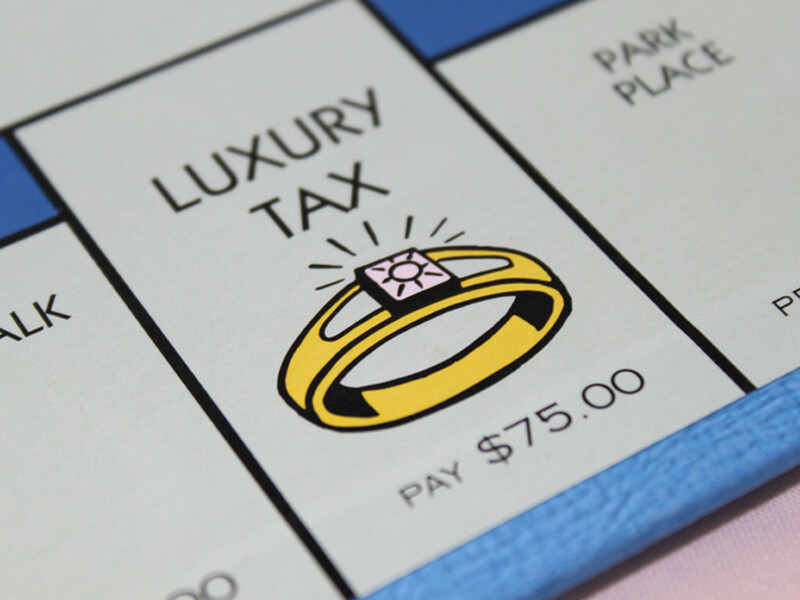 Guide to 7 common traps of Parker Brothers and Hasbro's most famous board game. 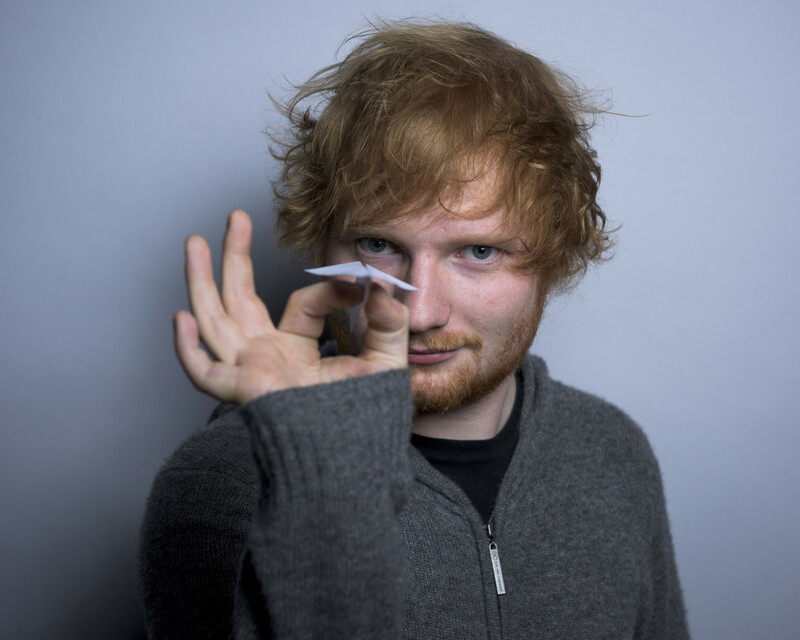 Billboard Hot 100 playlist of popular music artists including Ed Sheeran, Taylor Swift, Beyonce, and Kanye West. The 30 best songs from top artists of the 2000's and 2010's. 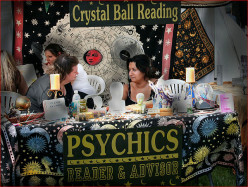 The top 10 secrets a psychic or medium would never reveal to their clients. 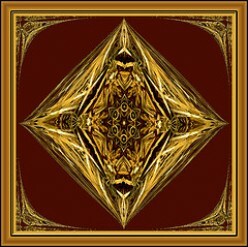 The juicy details of past, present, and future predictions kept in secrecy. What does a gambling addict look like? 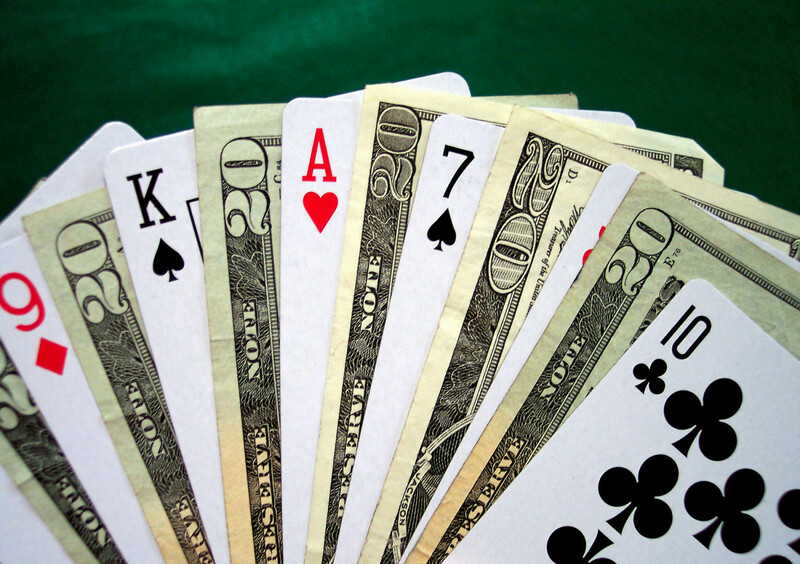 Read about the worst stereotypes of people with gambling disorder and addiction. 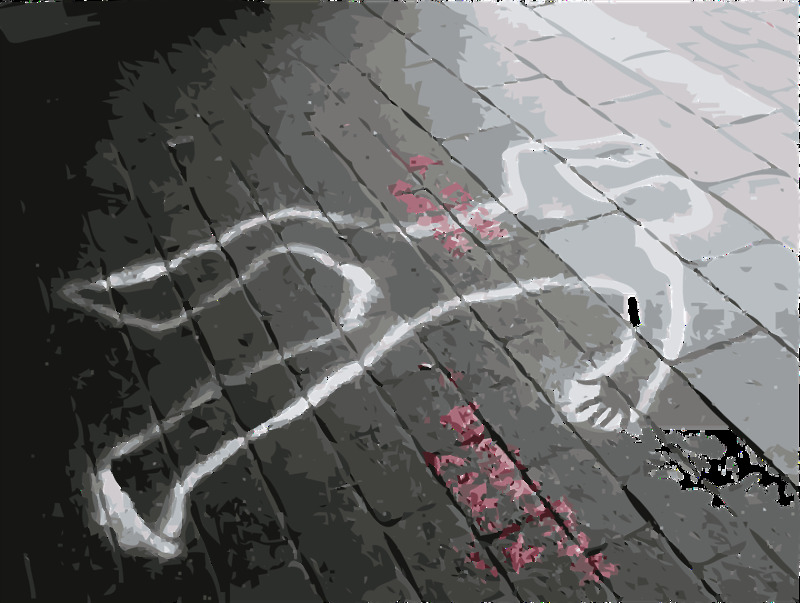 Are Writers Pretentious and Do They Need Help? 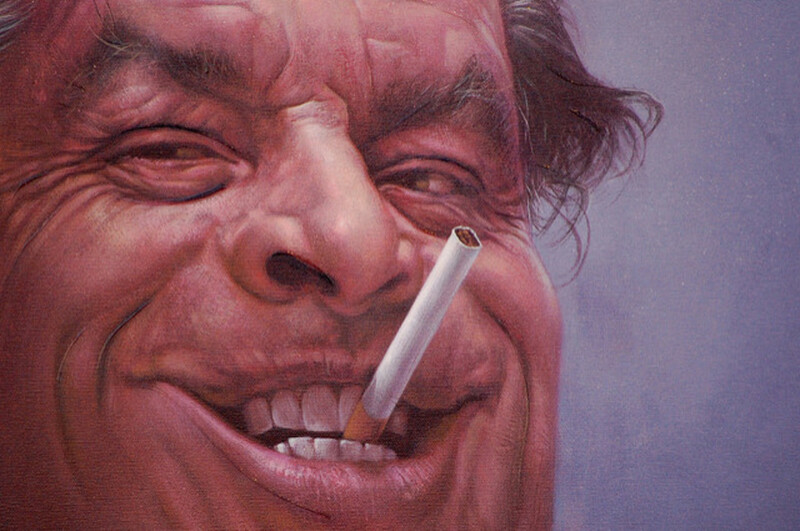 Are all writers snobby, cynical, judgmental, and pretentious? Investigate the writer's personality and how powerful they really think they are. 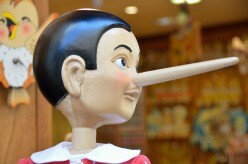 List of top 100 white lies men tell women whether it be their wife, girlfriend, or even mother. 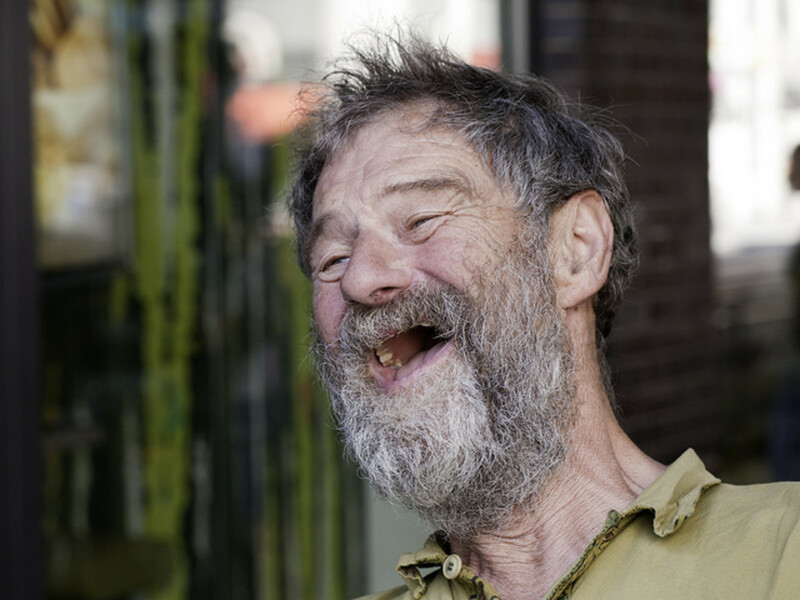 The biggest and funniest excuses for men in relationships. The truth behind the lies. 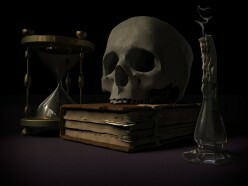 Life is strange with death around every corner. Explore the top 100 things that could kill you and why they're so terrifying. The 100 biggest problems only obese and overweight people will understand. 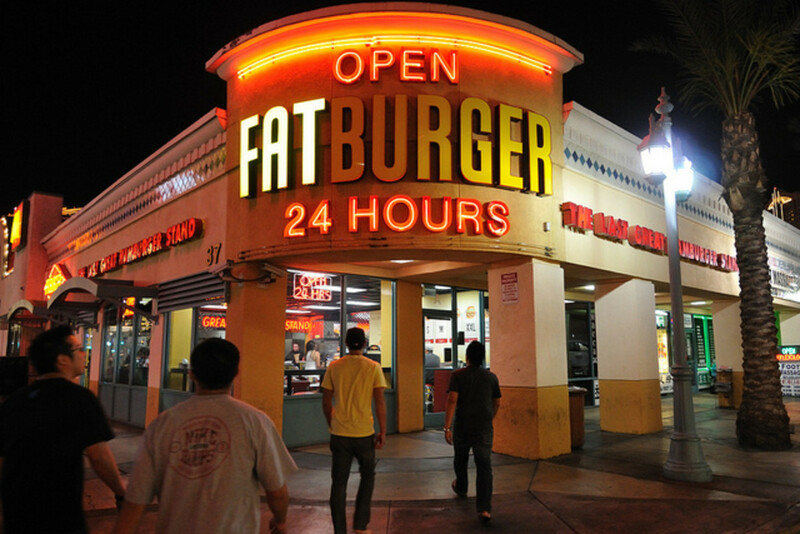 The dangers of obesity and why fat people love to make excuses about their weight. The 100 things women say or do when they're not interested in a guy or a relationship. From the most effective and surprising to the funniest and craziest excuses ever seen. Impossible YouTube challenge. 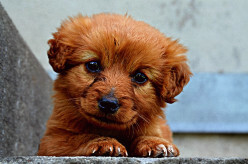 Test yourself with these images or videos and try not to Awww. 10 self-help tips to eliminate the fear of spiders. 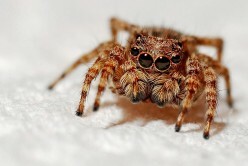 Use this guide to contain your arachnophobia and prevent panic attacks. Guide to surviving while working a minimum wage job. A how-to-guide on making connections, learning new skills, and asking for a raise. 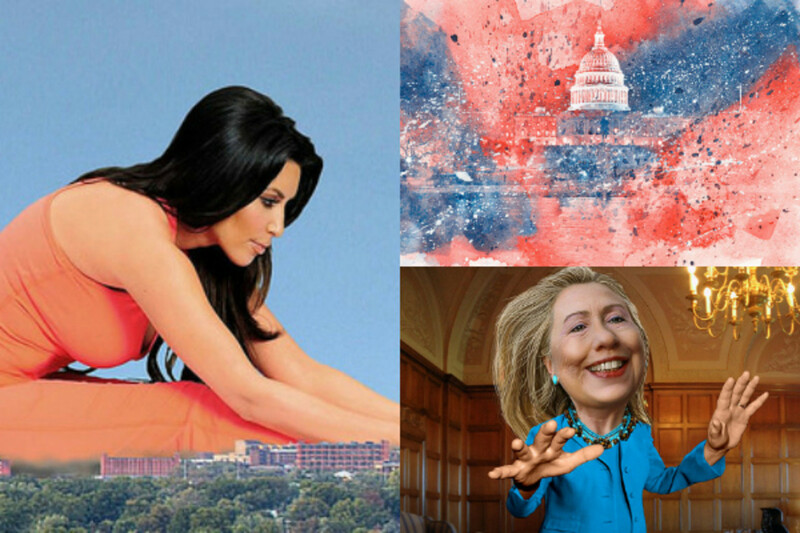 Kim Kardashian belongs in the White House as the first female president of the United States. She has everything anyone would want in a president and would be better than Hillary Clinton. 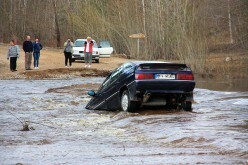 3 common natural disasters we can protect ourselves from. 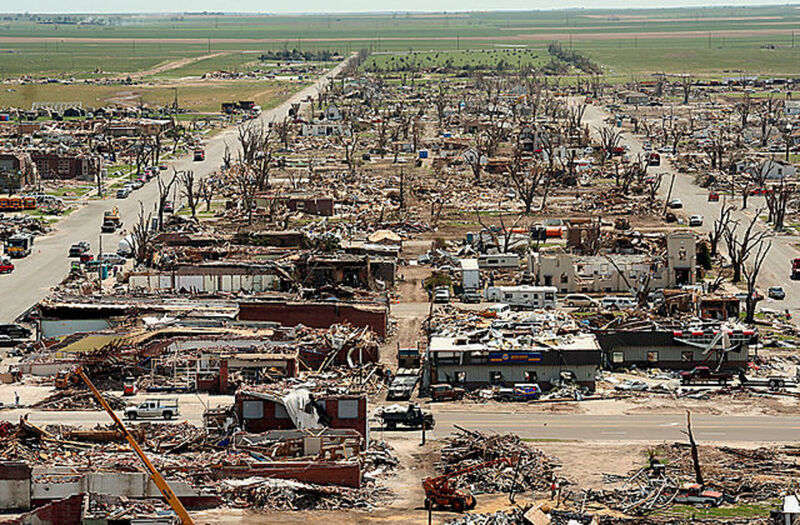 How to avoid death and destruction when mother nature strikes. 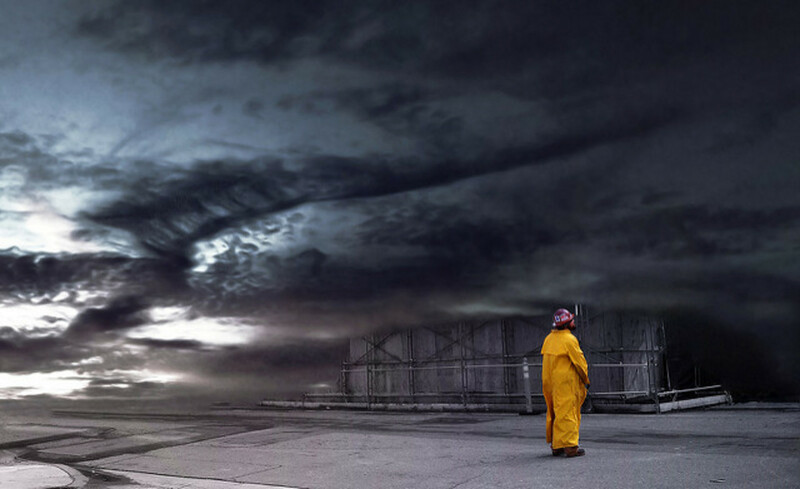 Which type of weather shows your mood and character? 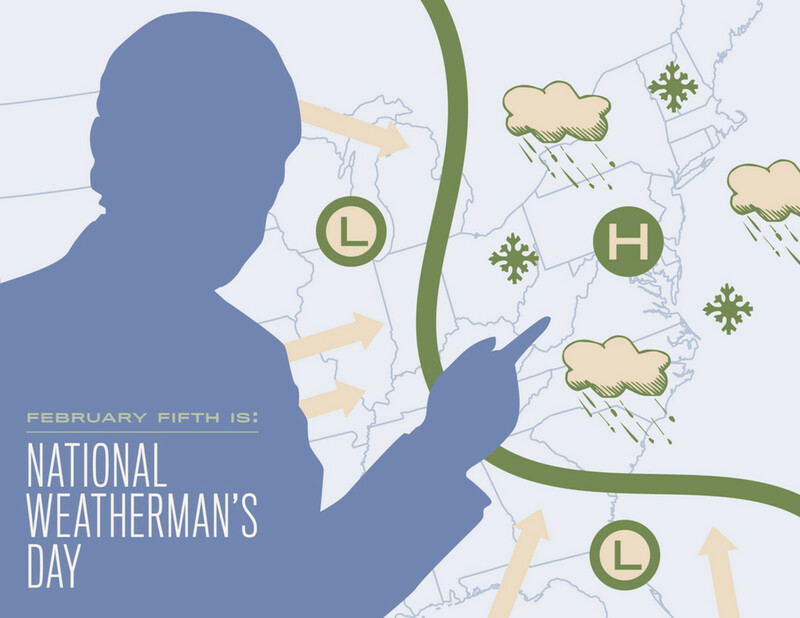 How using a weather report is like having a mood ring. 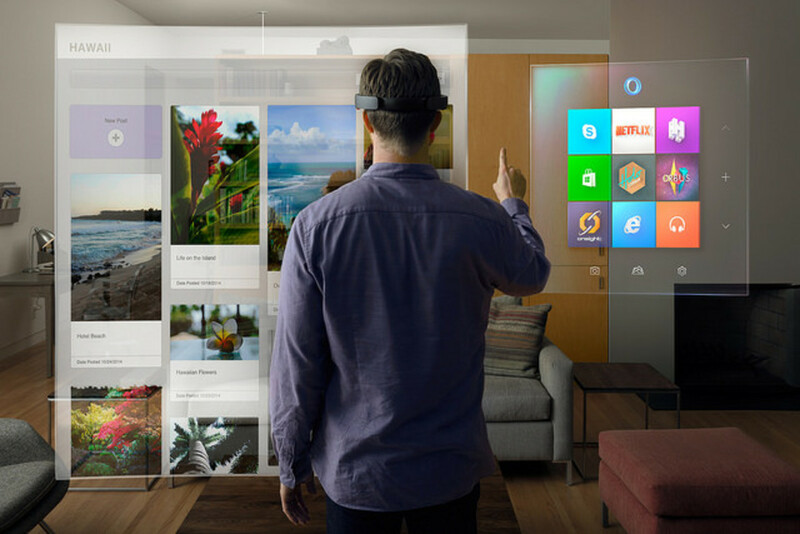 Top 20 virtual reality experiences for Oculus Rift, HTC Vive, and Playstation VR. 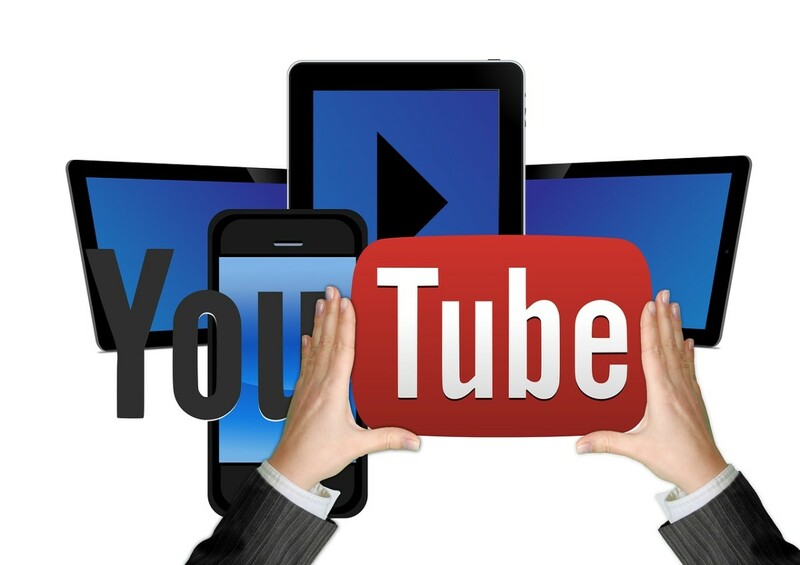 The YouTube addiction is growing rapidly with more young adults watching and participating. 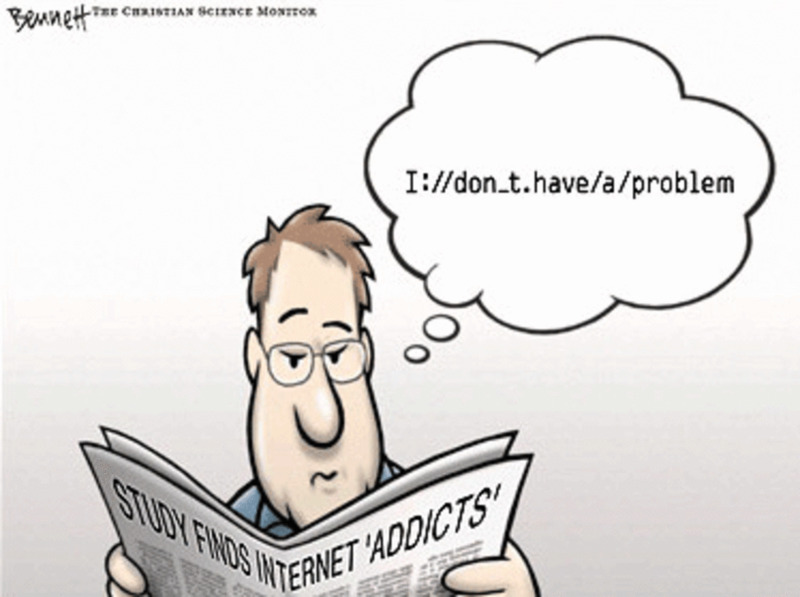 It's quickly becoming the next major addiction among today's millennial and Gen Z age groups. The early signs of gambling disorder. 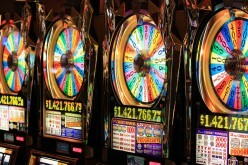 The beginning stages of gambling addiction and how to stop them before it becomes a mental illness. Understanding how body dysmorphic disorder creates ugliness through mental illness and psychological abuse. 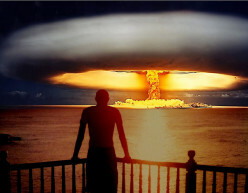 Imagine waking up on a normal day and the sirens go off. 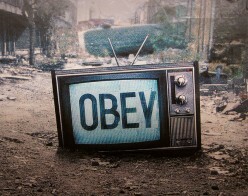 You turn on your TV and the Emergency Alert System says a nuclear bomb is coming towards you. What do you do? Are Judgmental People at Risk for Discrimination Lawsuits? Do you judge someone right away without knowing who they are? If so, then why do people do this and what are the legal consequences from doing this? 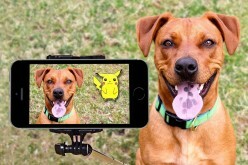 Top 5 reasons people use clickbait titles and thumbnails to promote their content. 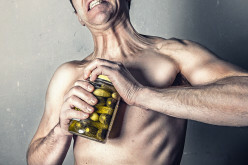 10 worst ways to die with the most painful deaths. Top 10 gender stereotypes about men and women. Do women have to cook and clean? 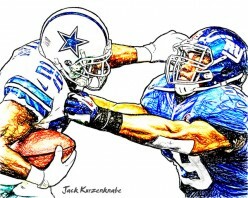 Are men supposed to love sports and be masculine? The guide to gender roles in the 21st century. Best movie trilogies since 2000. Will Planet of the Apes, Batman, Jason Bourne or the Transformers make the cut? How to control your anger and rage. 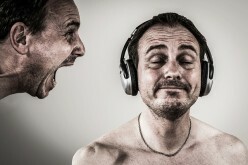 Anger management techniques for beginners who can't stop cursing and screaming. 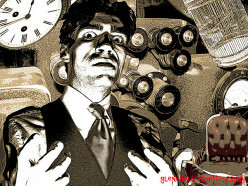 Devastating anxiety disorders that ruin mental health and punish people everyday. From phobias to PTSD and every lethal psychological condition in between. People want followers but what happens when no one wants to follow them on social media? The deep, dark secrets of getting unfollowed and rejected. 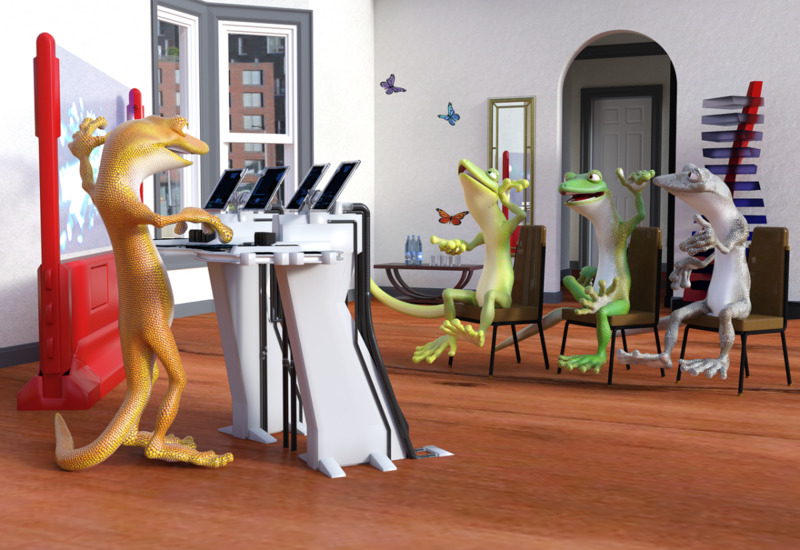 The 10 weirdest Google searches everyone wants to know. From green poop to a talking fox and much, much more. 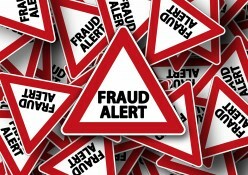 Top 7 dangers of spam and how it could lead to identity theft and computer viruses. 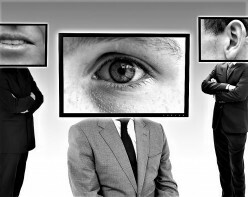 Exploring Facebook privacy theft. The truth why we hate single and unmarried people. The harsh reality why 30+ year old single ladies get looked down upon. 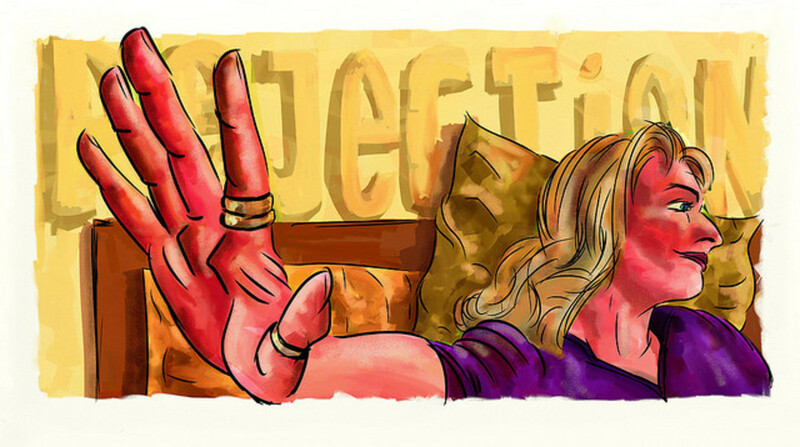 The 10 worst pet peeves of all time. Why pet peeves are everywhere and bother you so much. How to control your worst annoyances the right way. 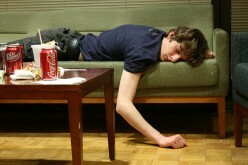 Top 4 devastating ways healthy people get depressed. What sport rules them all? Discover the best games and events in our sports world. 5 Reasons Amazon is better than eBay or Craiglist. What makes Amazon.com more than an online shopping site. 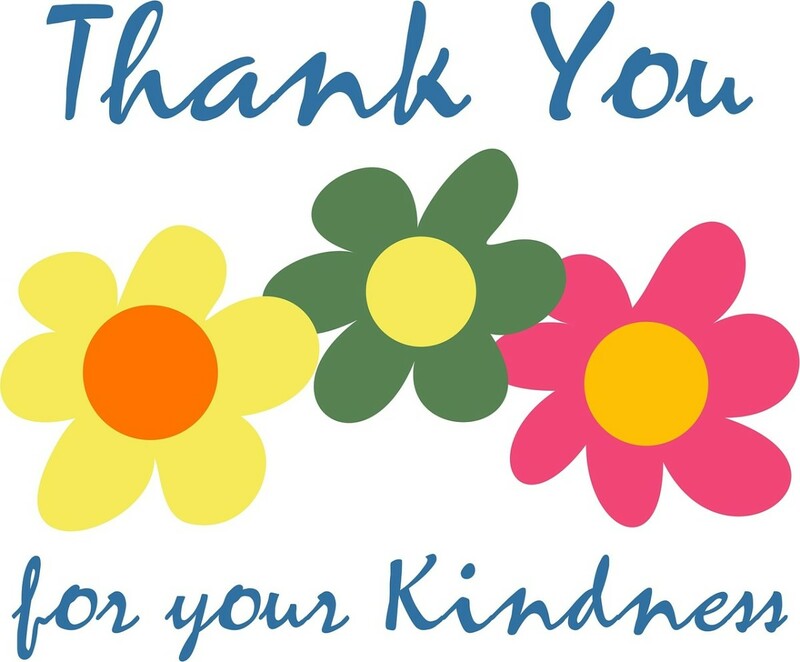 Reasons why thanking the people who comment, read, and follow you is important. 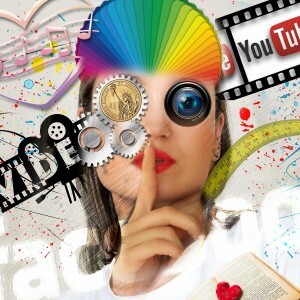 Why YouTube subscribers and followers on social media platforms like Twitter or Facebook matter. Why Groundhog Day is the most useless holiday. 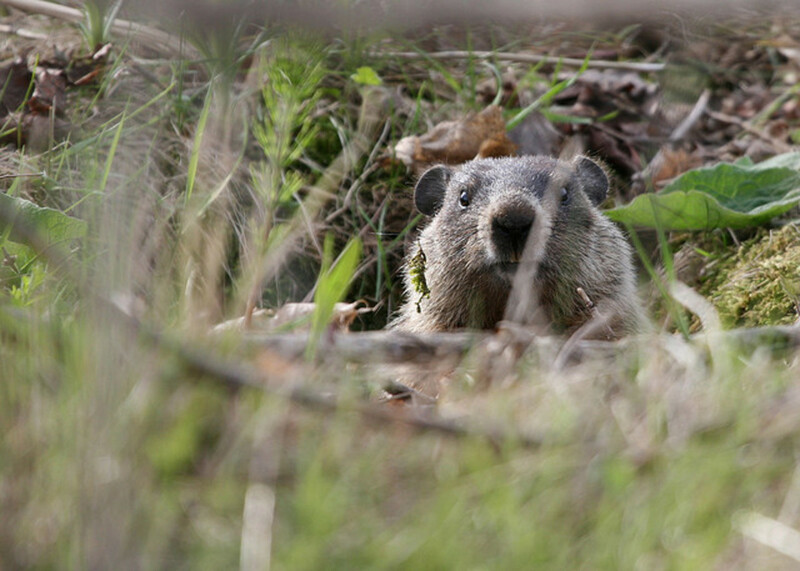 The truth about Punxsutawney Phil and why he's the world's biggest and best liar. The four types of criticism for writers and what they mean. 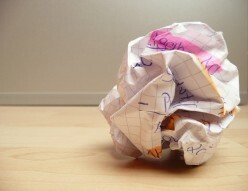 Why authors like J.K. Rowling and Stephen King would fail without negative feedback. Is weight loss obsession healthy and do diets only create more unhealthy panic? Fast and simple brainstorming techniques for procrastinators. 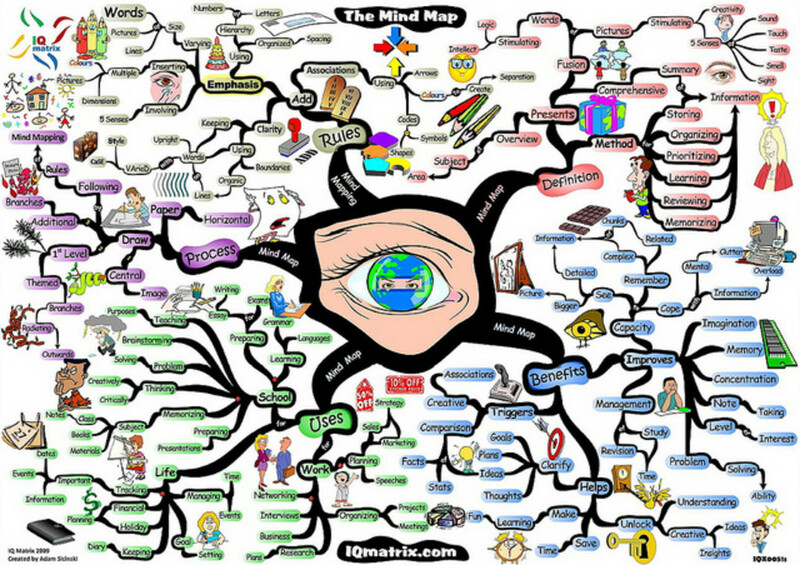 How to get organized quickly and get tasks accomplished. Should You Be a Cheater? The guide to compulsive cheating and constant glances.. You'll end up asking yourself whether you should cheat. 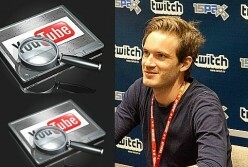 Is YouTube an equal rights community? Do they support diversity? Discover the ins and outs of this global video sharing platform. The 5 weirdest rainy day activities you can do during weekends. A list for curing the rainy weather blues. 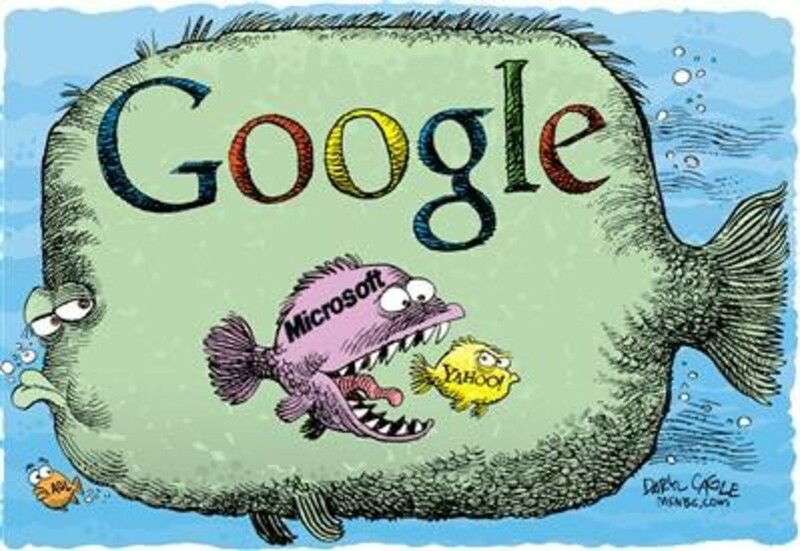 Best web content strategy to increase your Google page ranking. 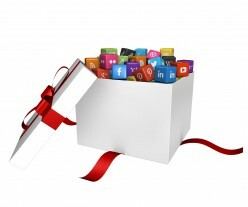 Ways to create content to get the highest quality ranking. Why Does Everyone Hate Meteorologists? Do meteorologists have it worse than food servers? Find out why people hate these onscreen scientists and their weather forecasts. Another year, another remake. 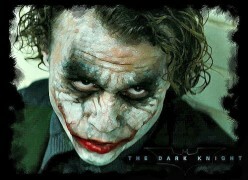 Are you tired of all the sequels, prequels, and remakes and will they eventually lead to the movie industry's downfall? Discover the truth behind it all. 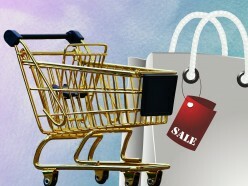 Does the grow of e-commerce and sites like Amazon and Ebay profit the most through reviews of their products.? 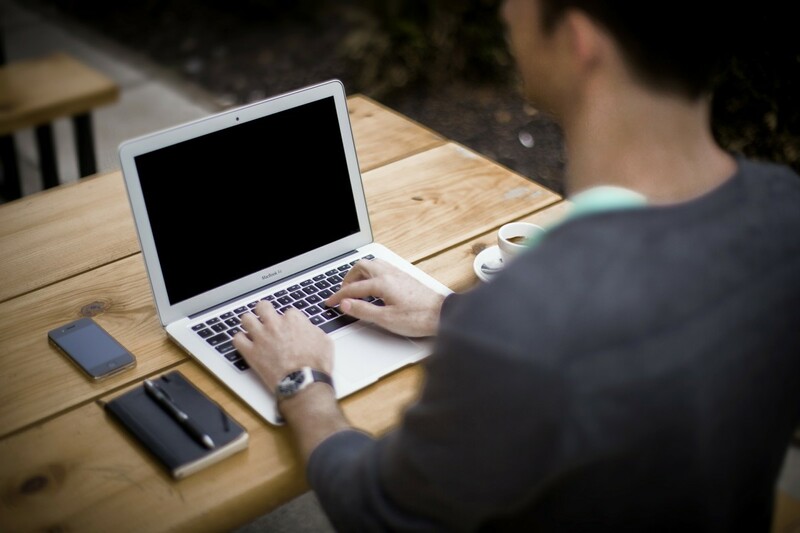 Secrets of defeating writer's block. 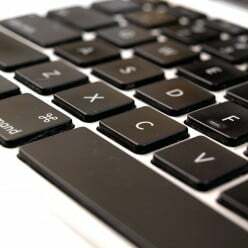 How to combat an evil writing disability with good strategies. 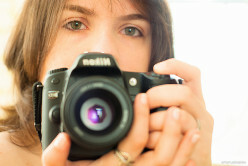 Vlogging and blogging differences and similarities. 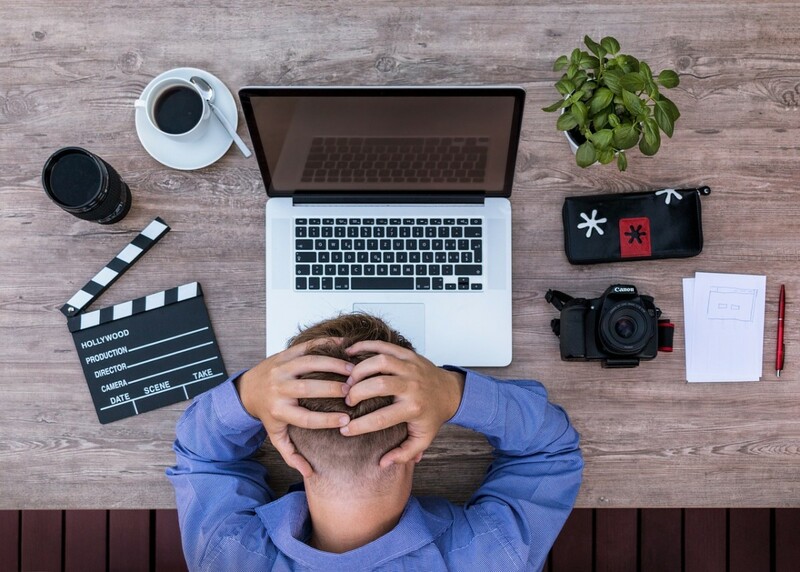 Can you be on YouTube or should you stay a writer? 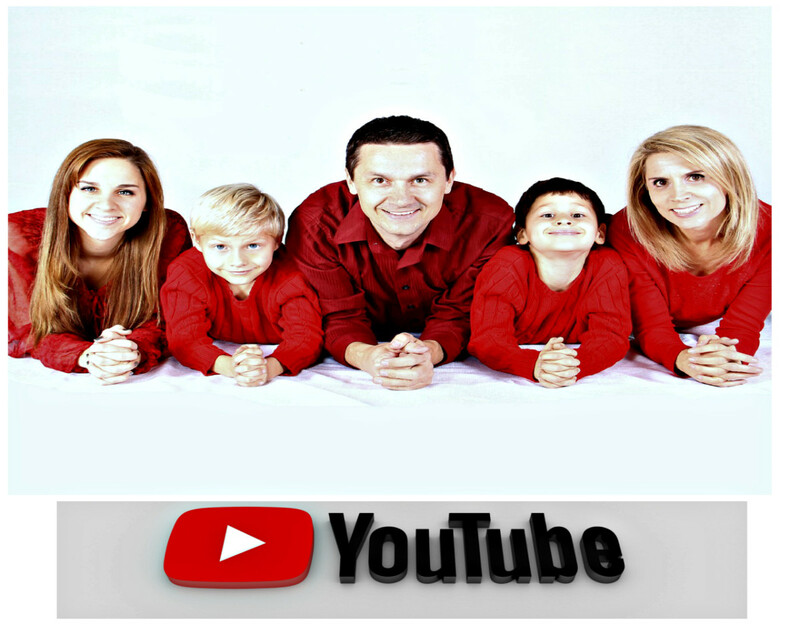 Which YouTube channel are you a part of? 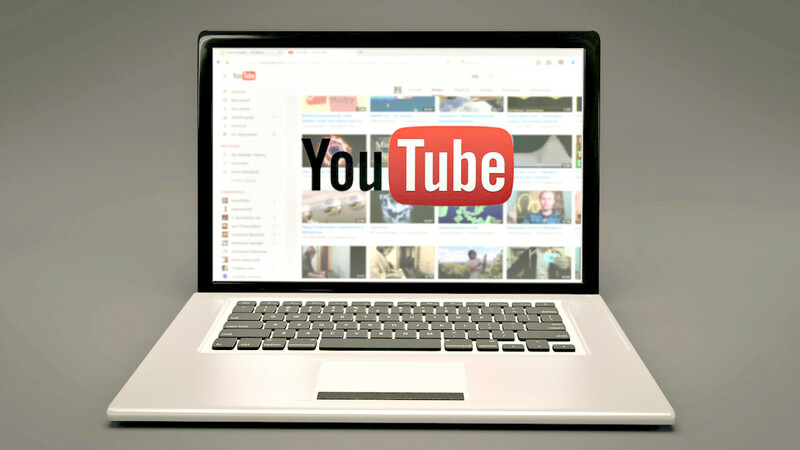 Discover the 5 major categories on YouTube and what or who they bring to the entertainment industry. Are you an up and coming YouTuber? 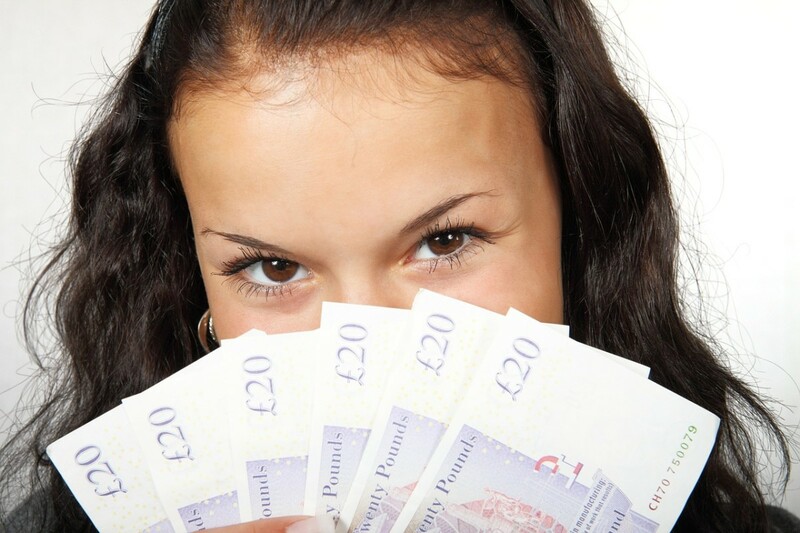 Well there are a multitude of tips and tricks to look for to become successful. 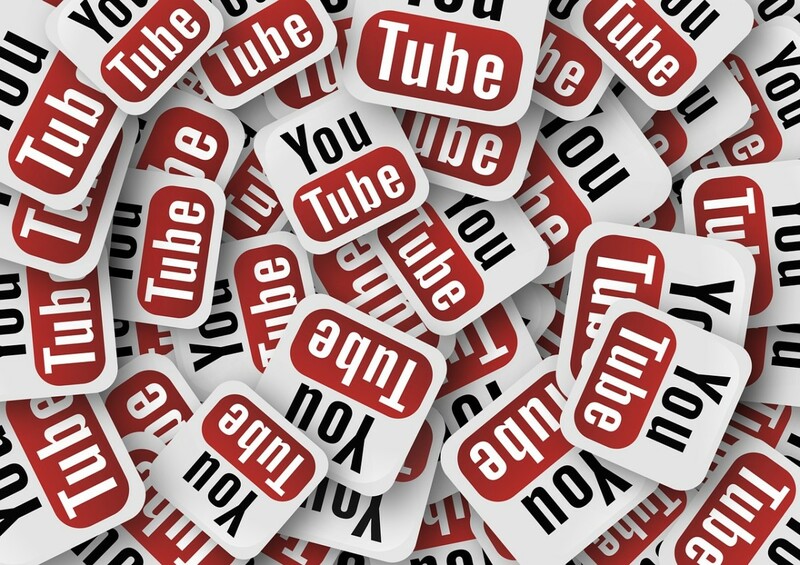 YouTube is a tough market to enter, but it's possible with proper guidance.